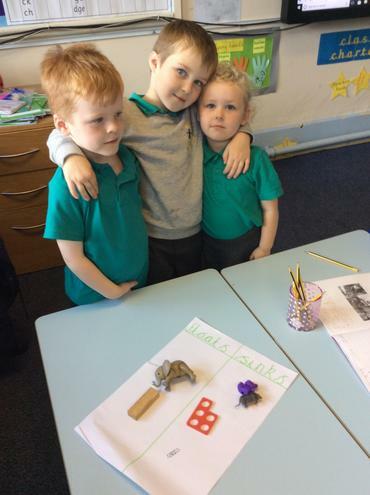 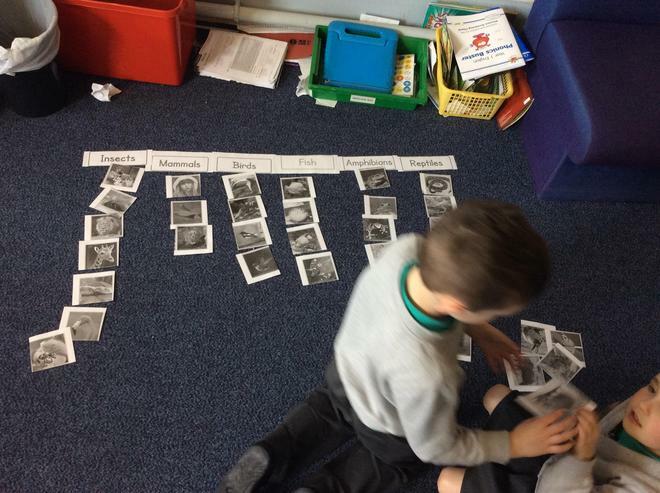 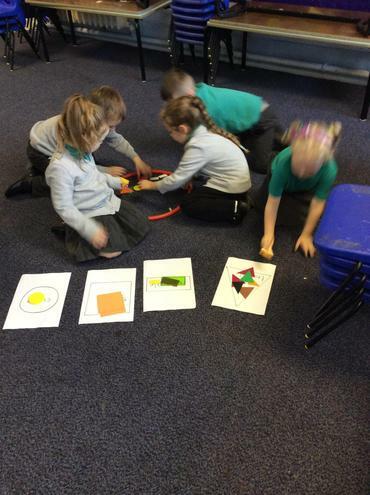 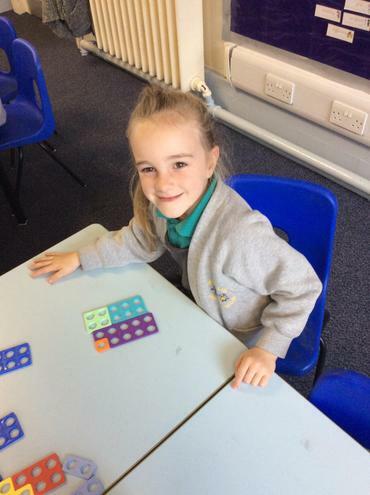 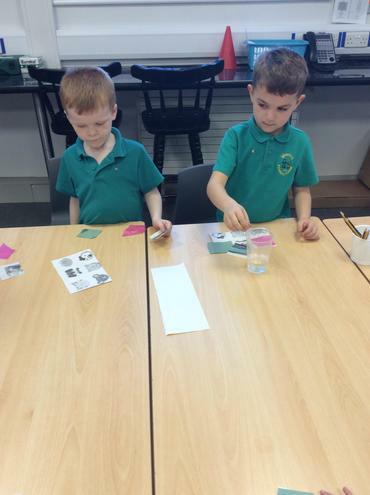 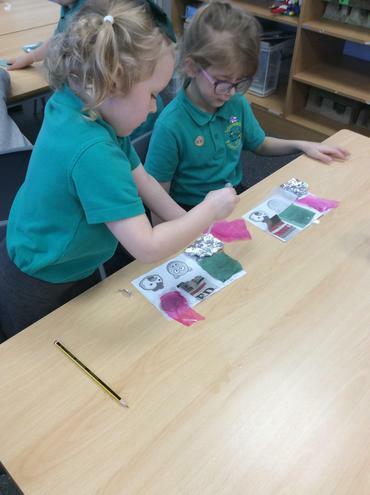 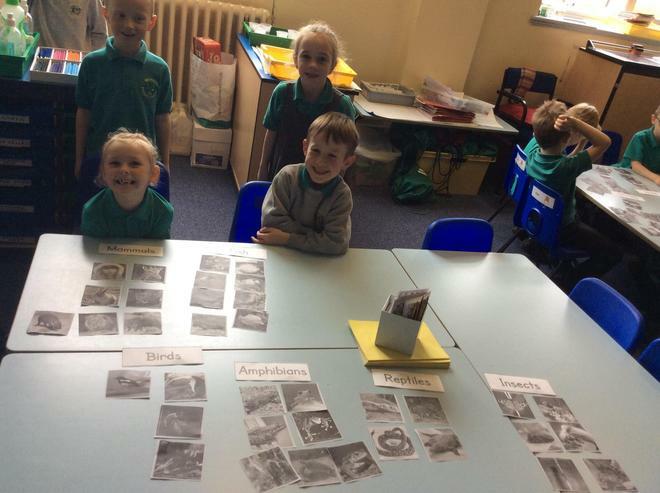 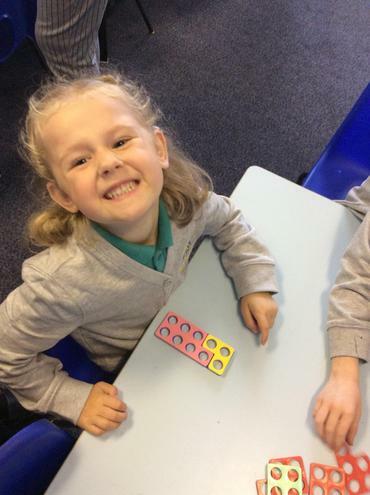 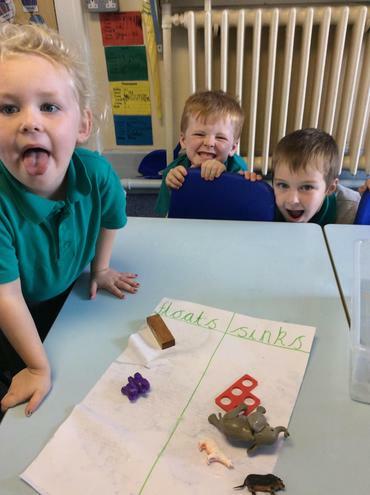 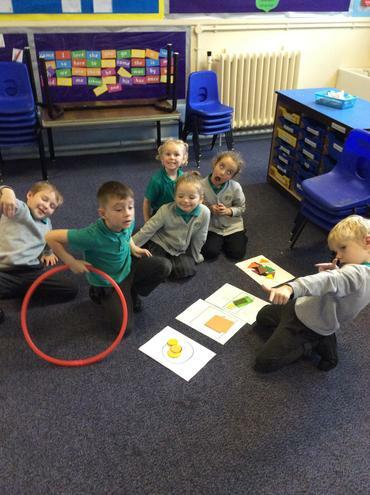 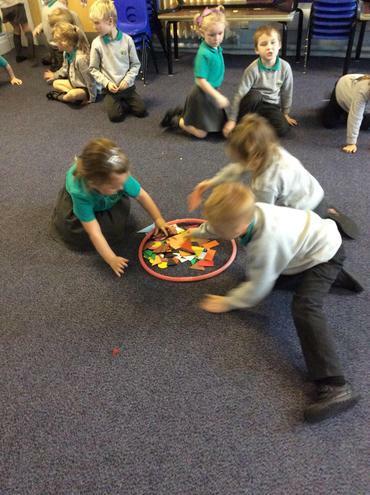 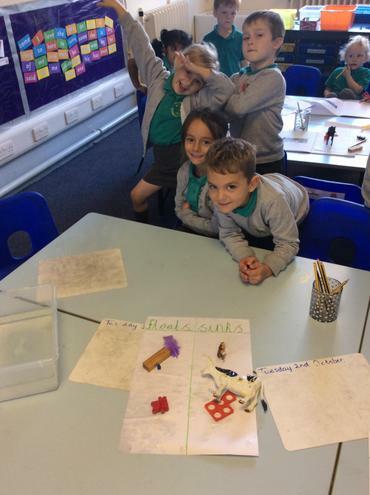 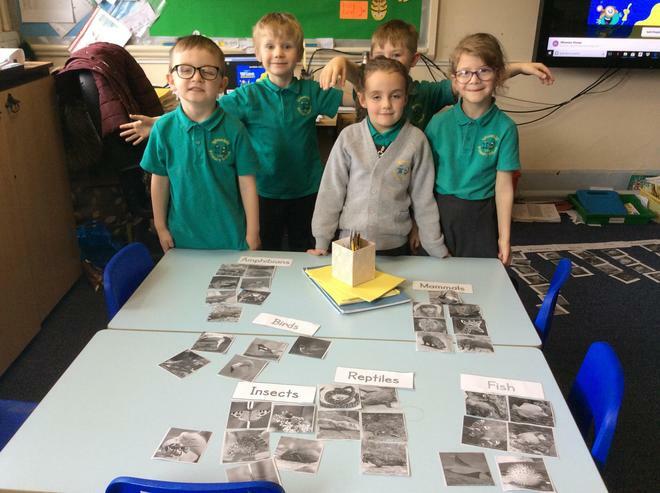 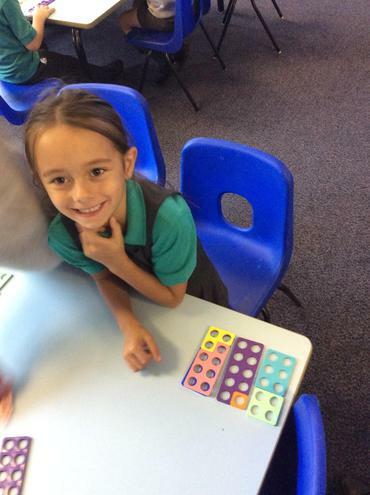 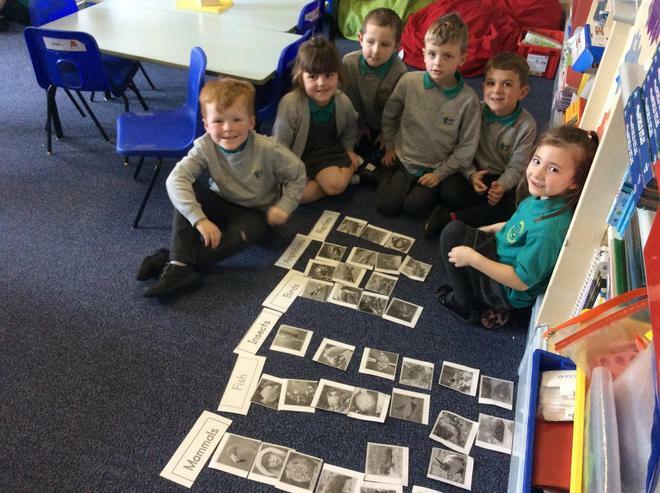 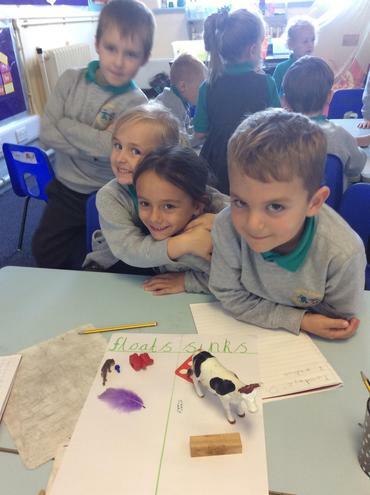 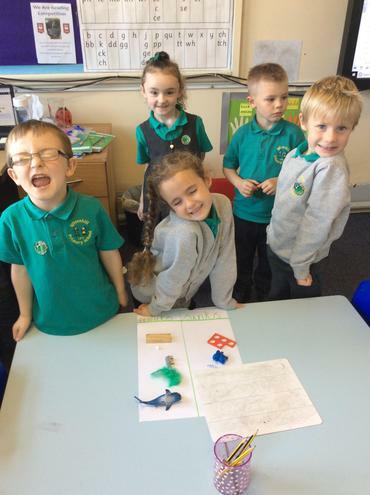 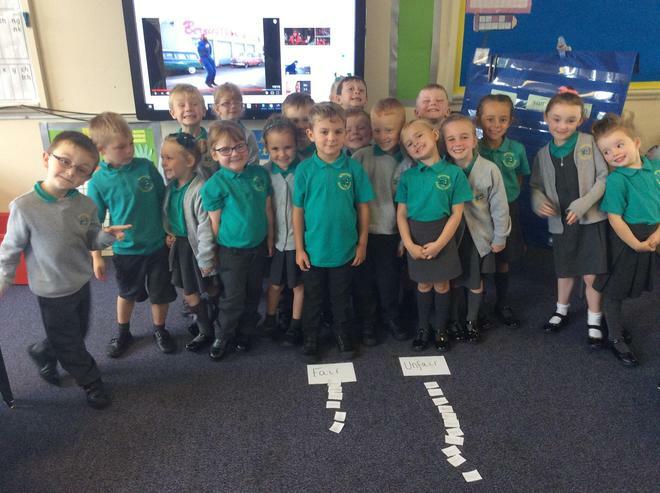 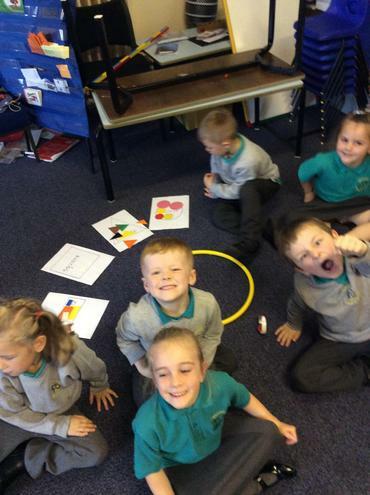 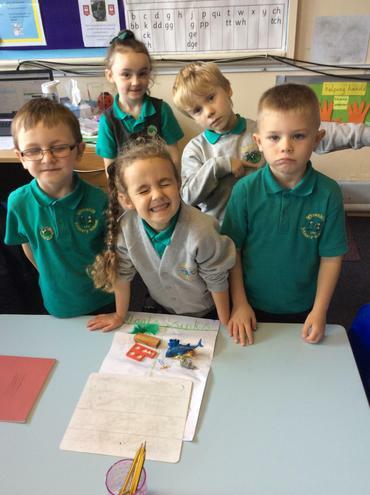 The children worked as team to sort the animals into the correct groups by their features. 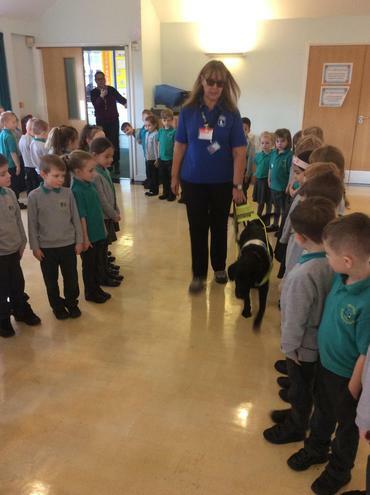 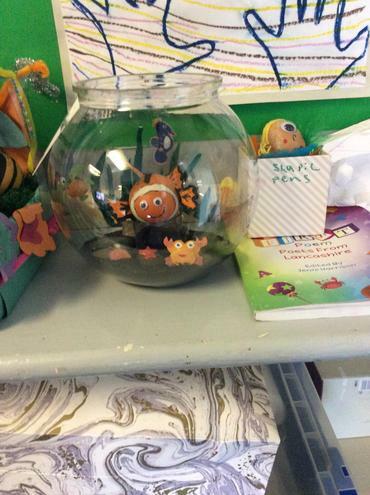 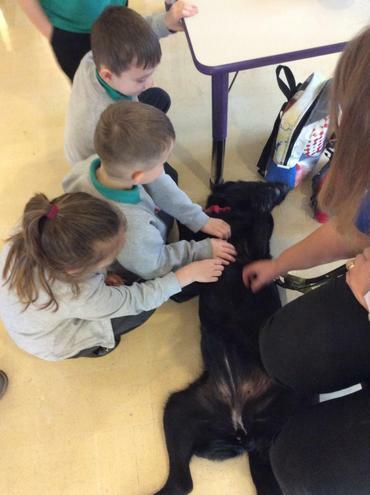 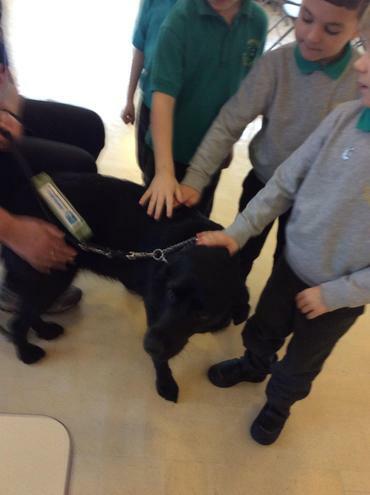 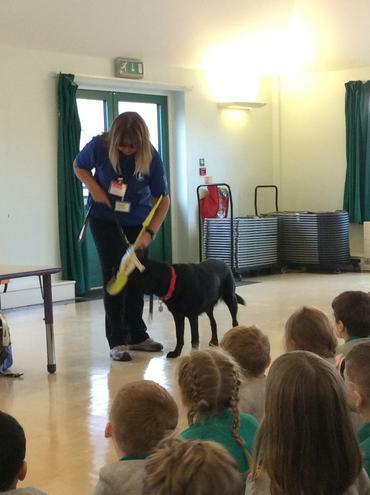 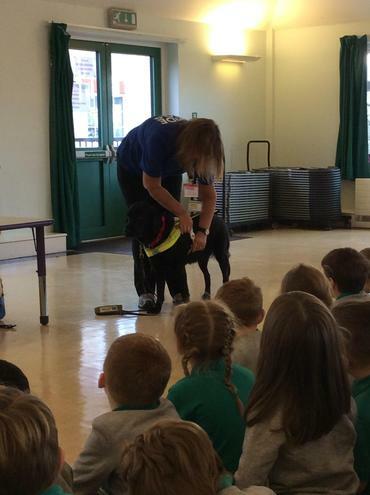 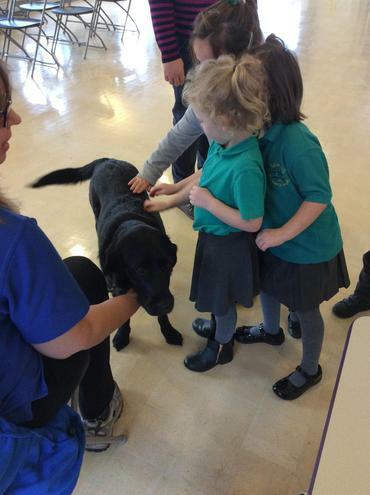 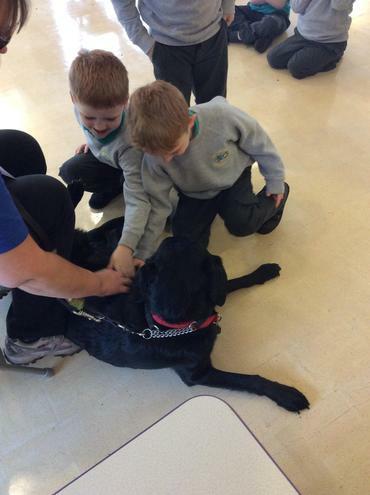 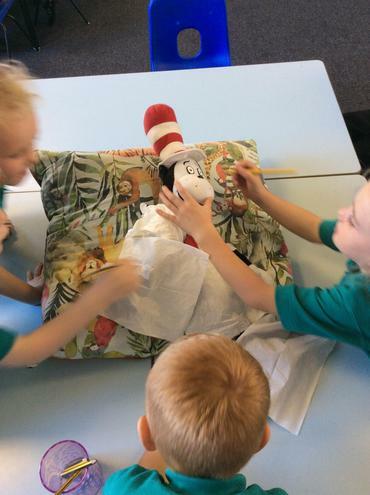 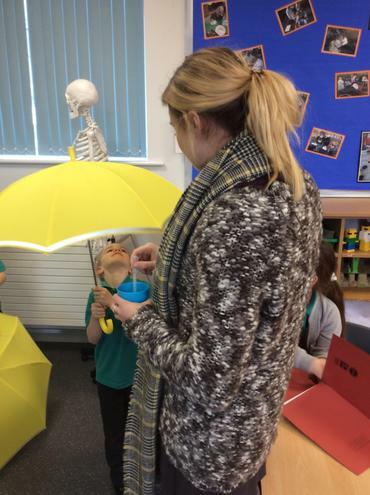 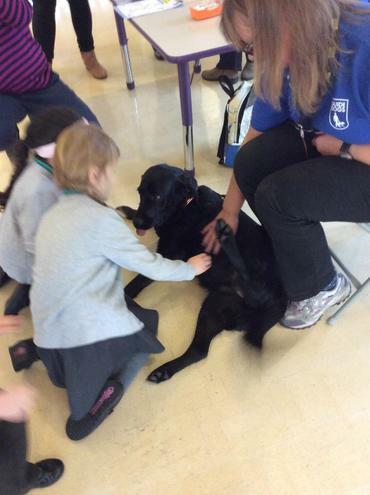 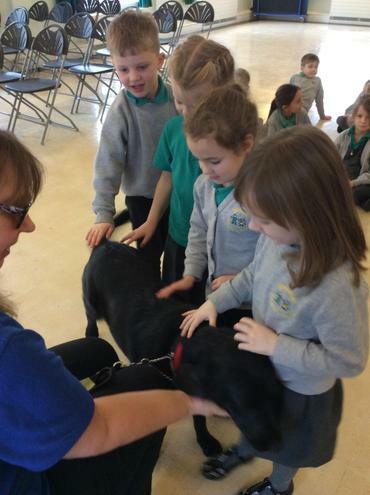 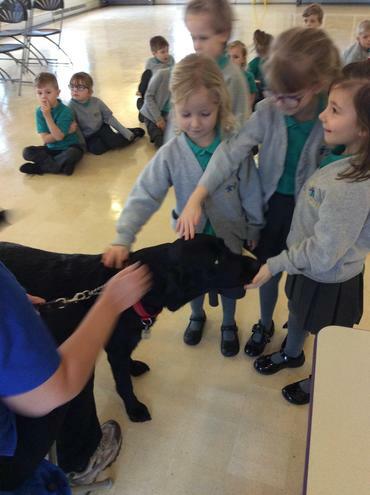 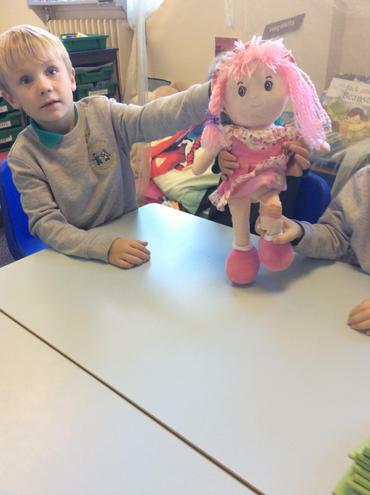 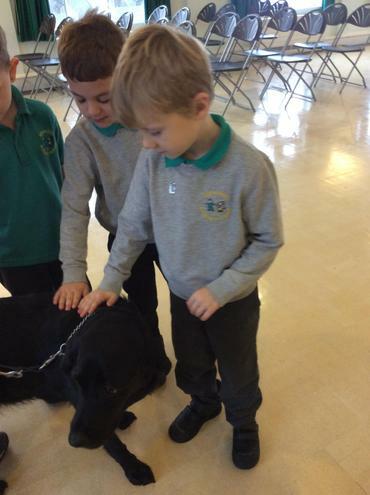 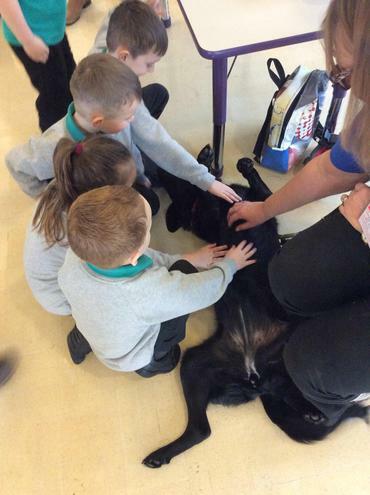 Year 1 had a visitor today. 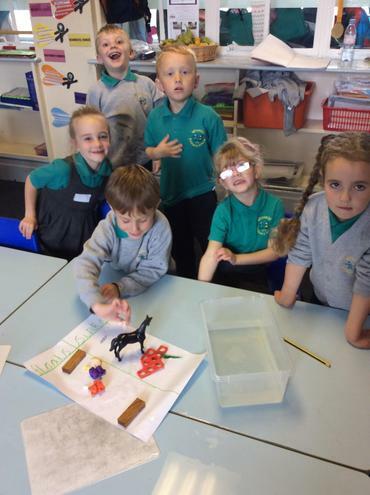 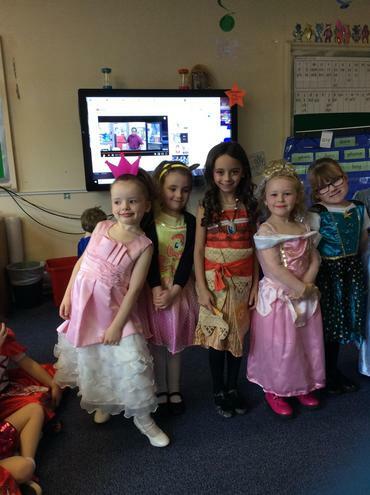 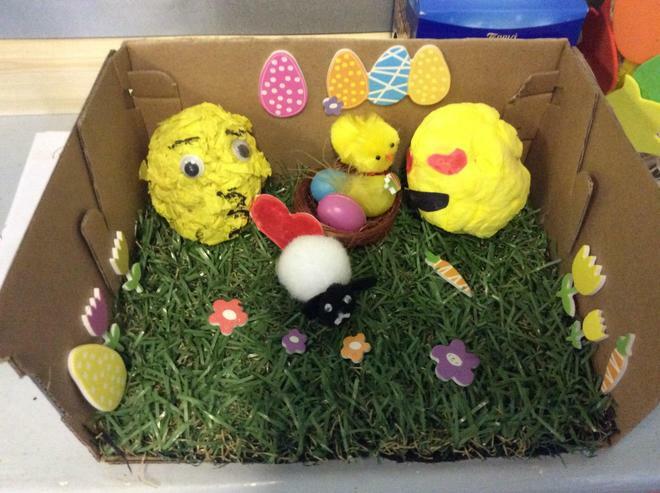 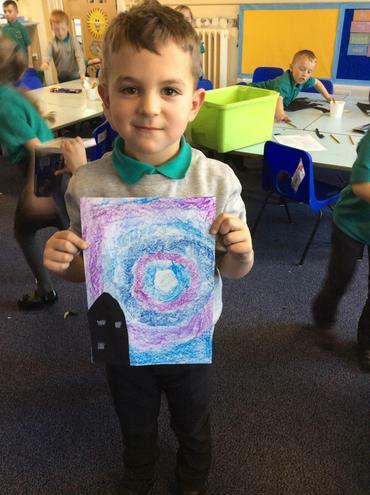 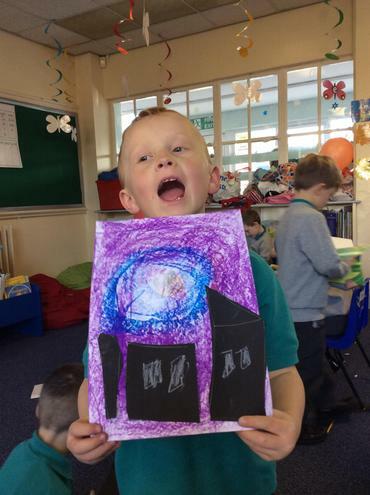 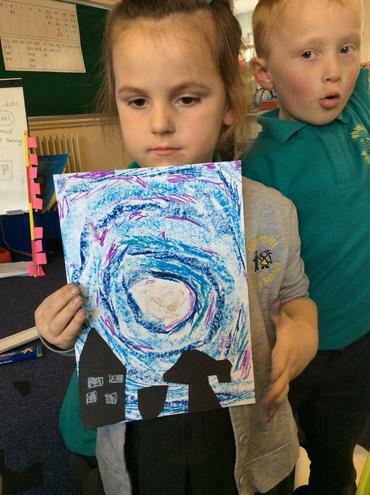 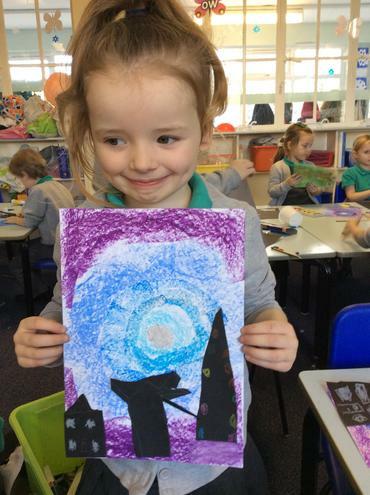 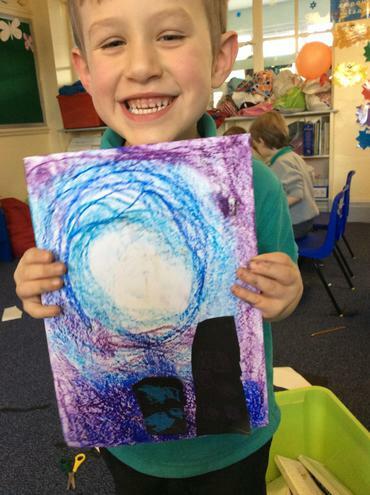 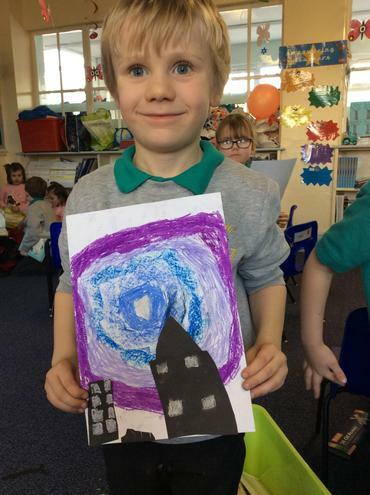 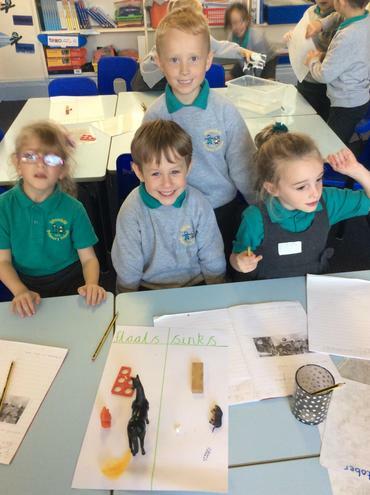 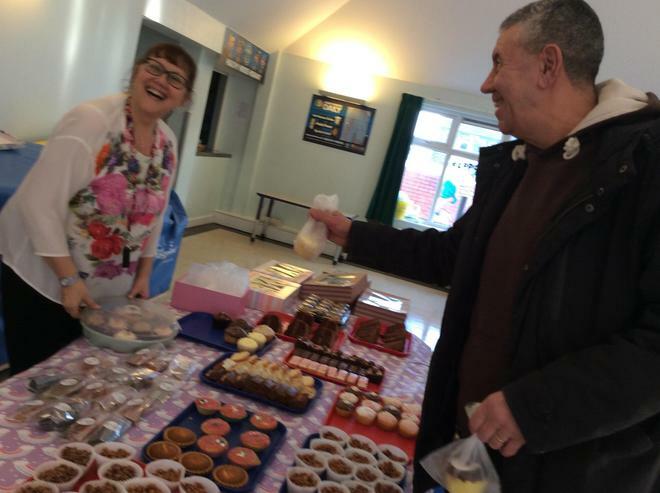 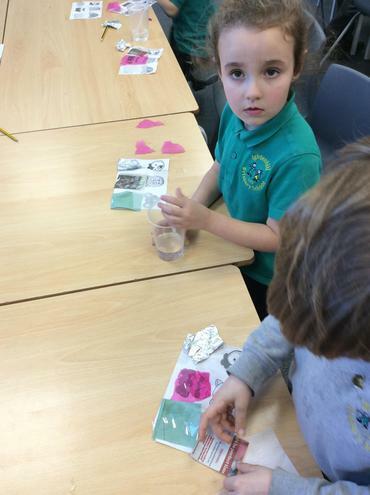 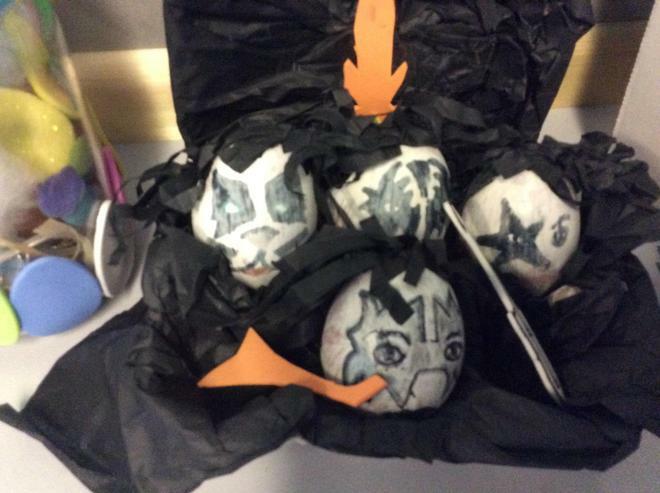 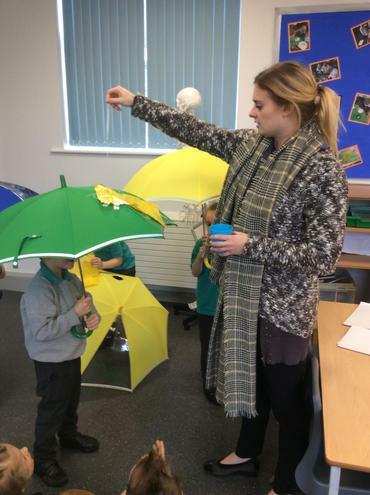 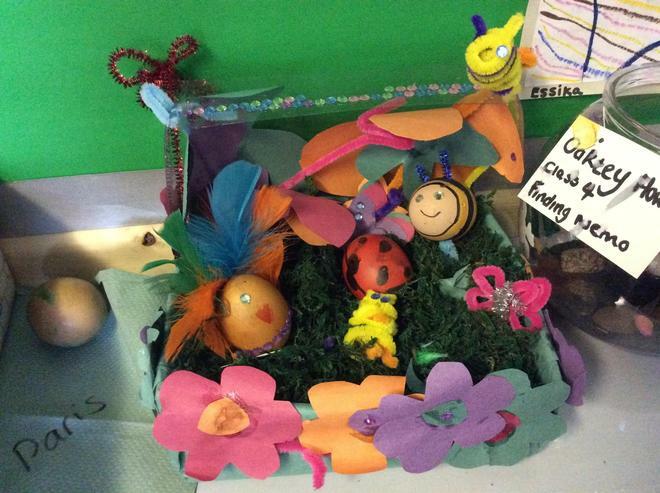 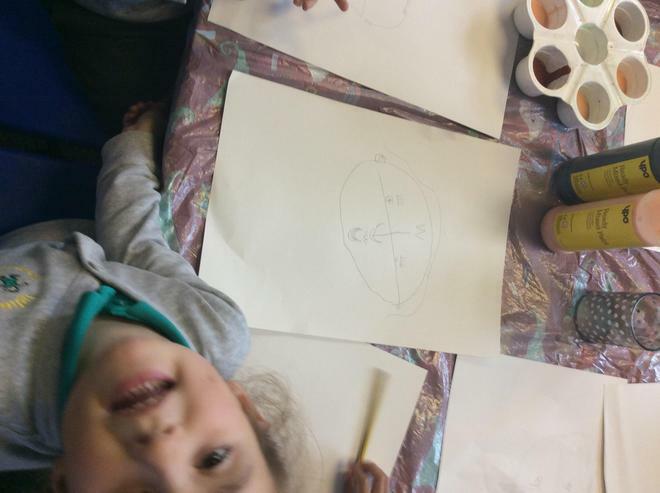 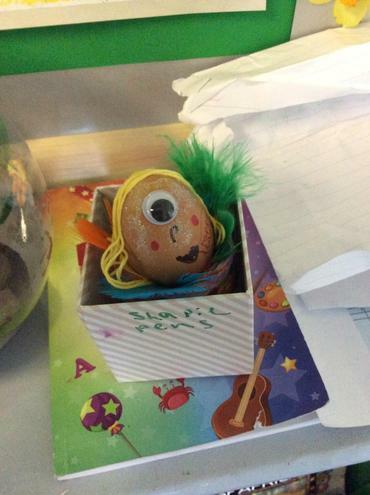 The children learned all about Easter and Christianity. 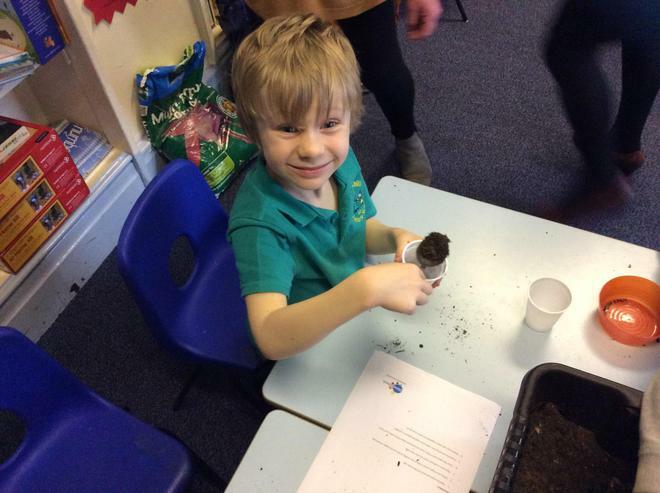 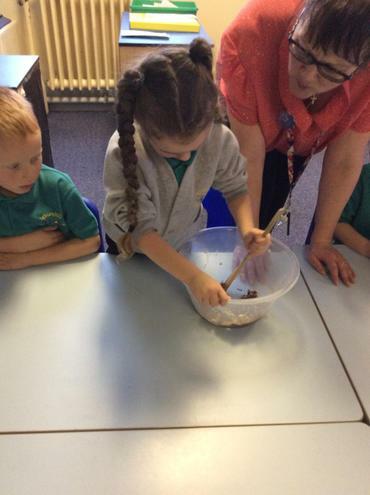 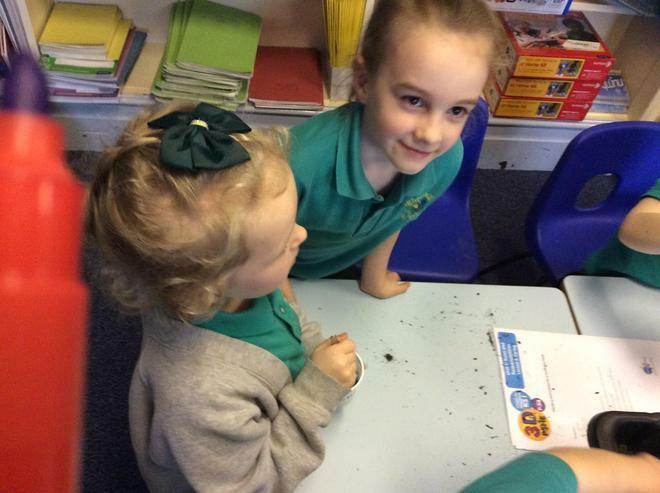 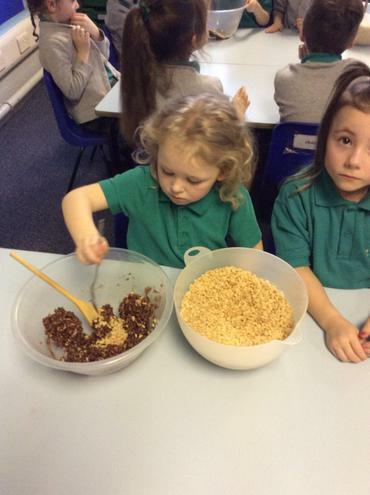 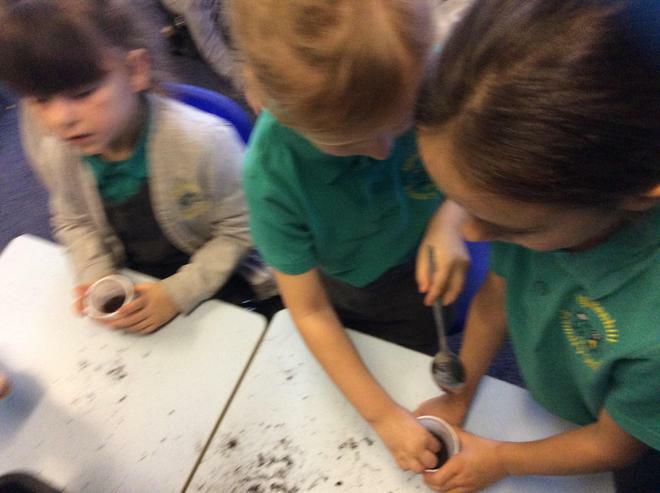 As part of out PSHE day, the children have been planting some sunflower seeds. 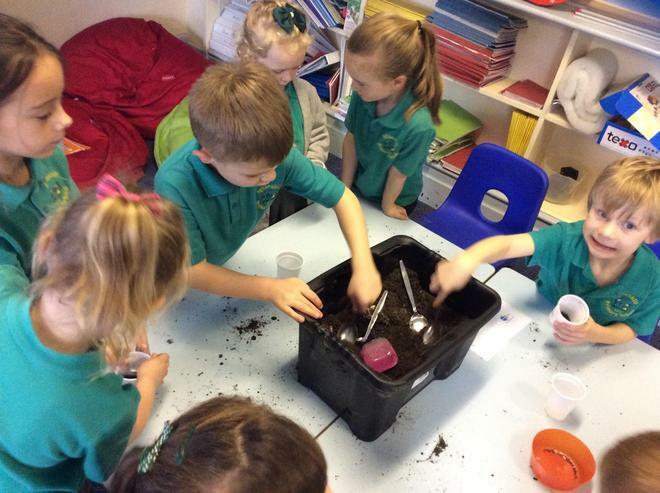 Once the seeds have been planted, it is their friends job to care fort their flower to ensure that it grows. 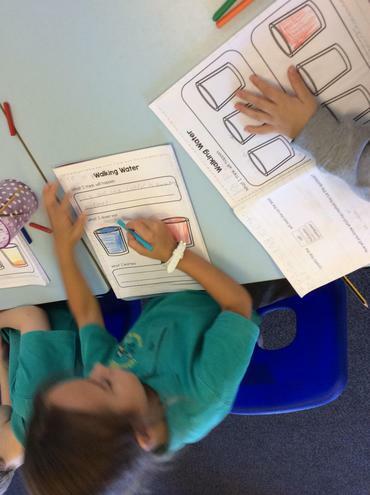 We spent the day thinking about others and how we can look after them and ourselves. 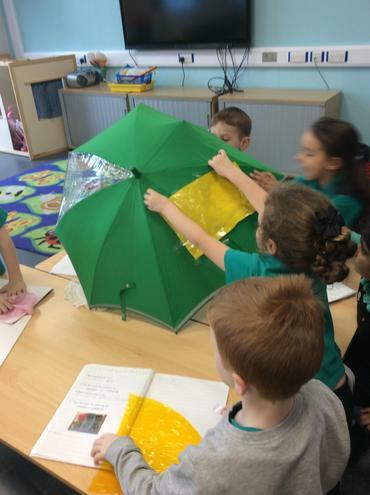 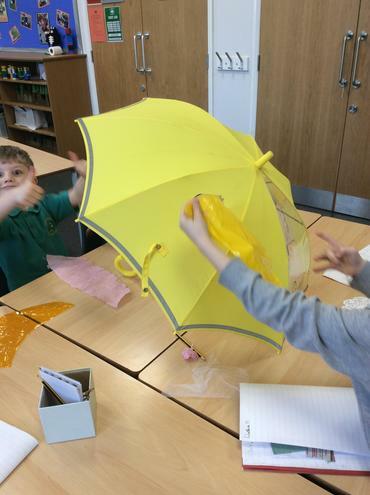 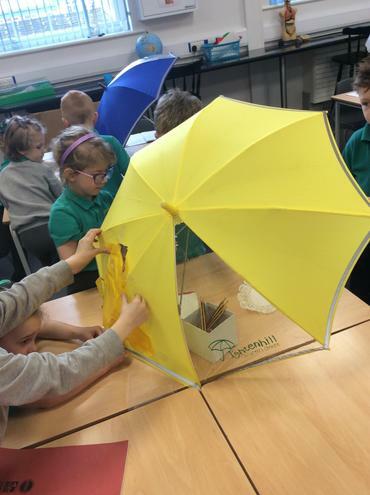 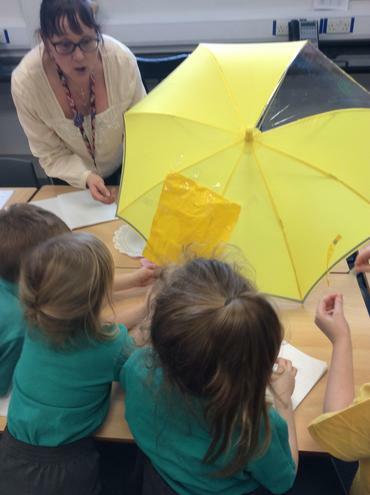 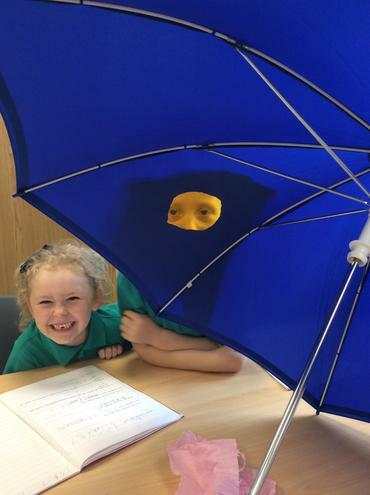 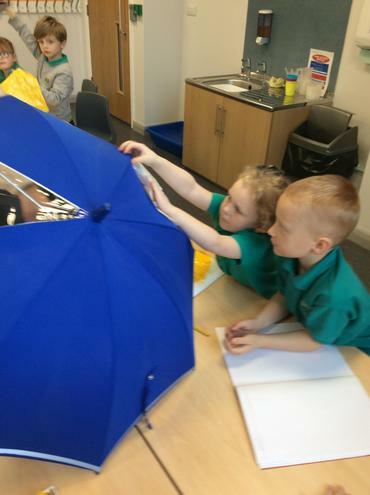 Can you find the best material to fix the umbrellas? 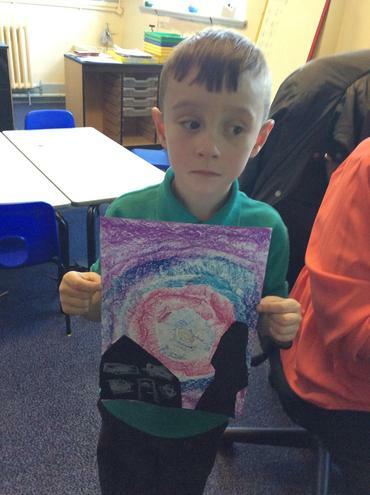 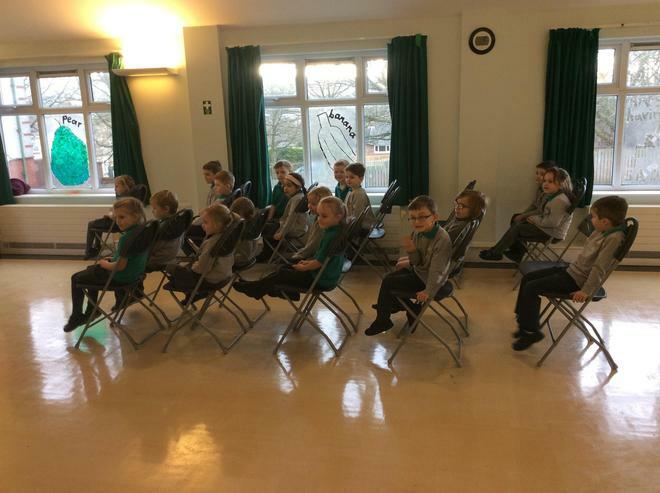 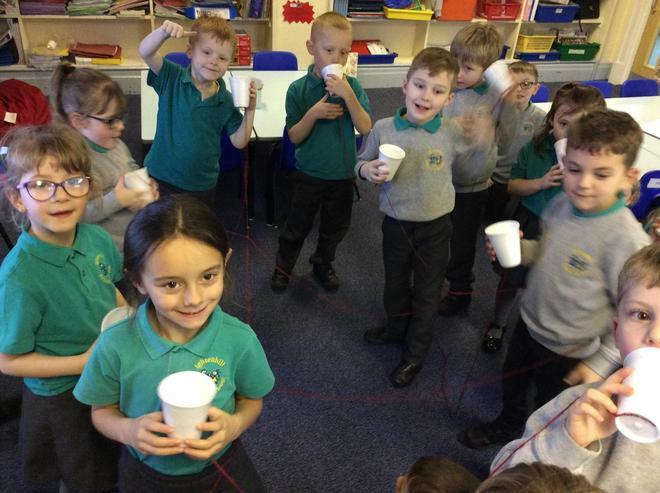 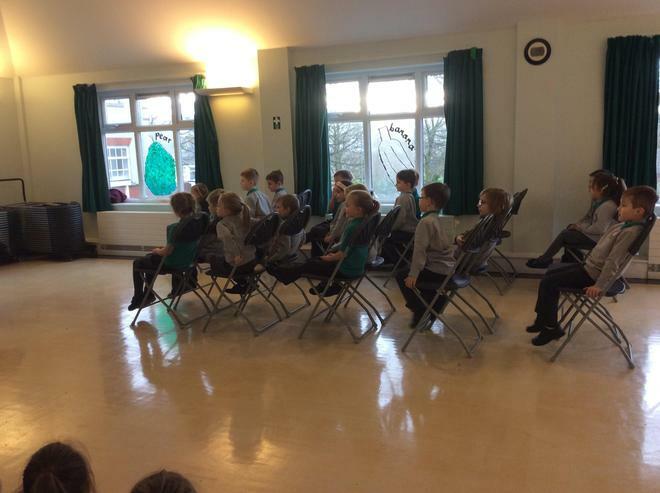 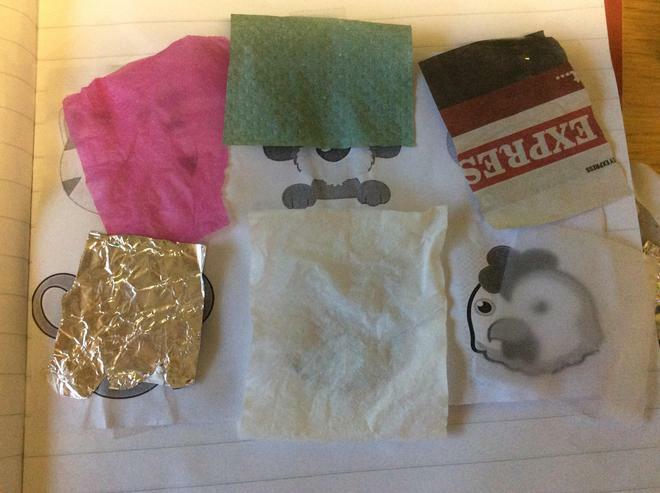 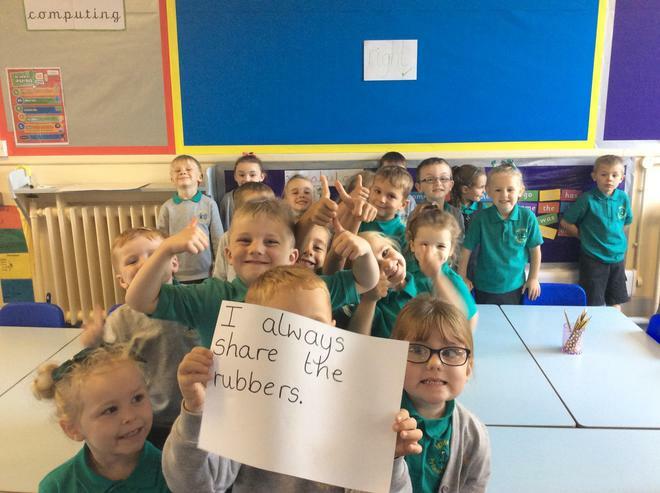 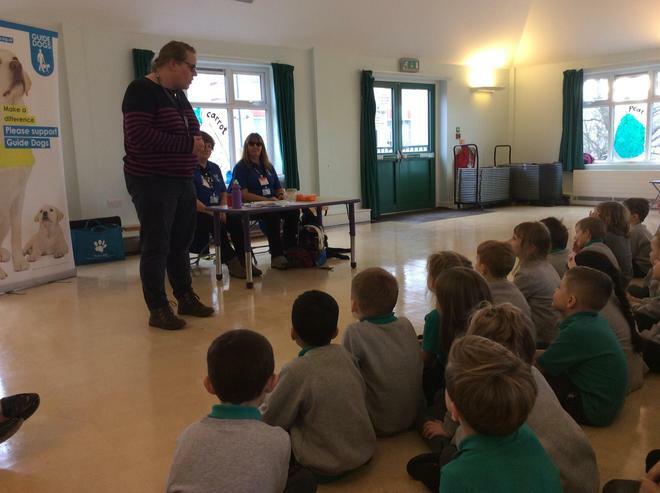 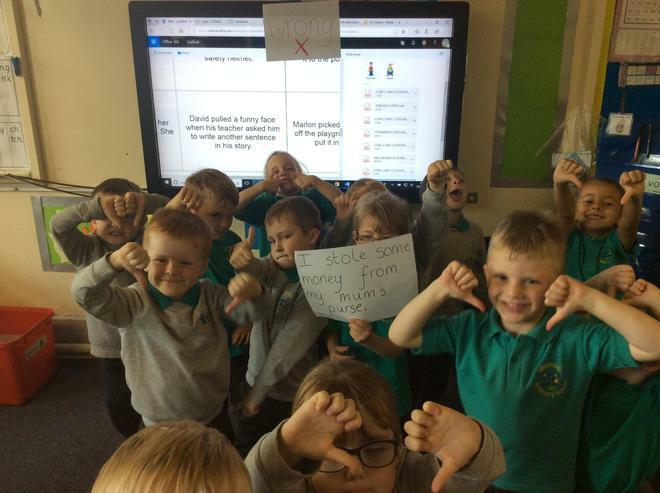 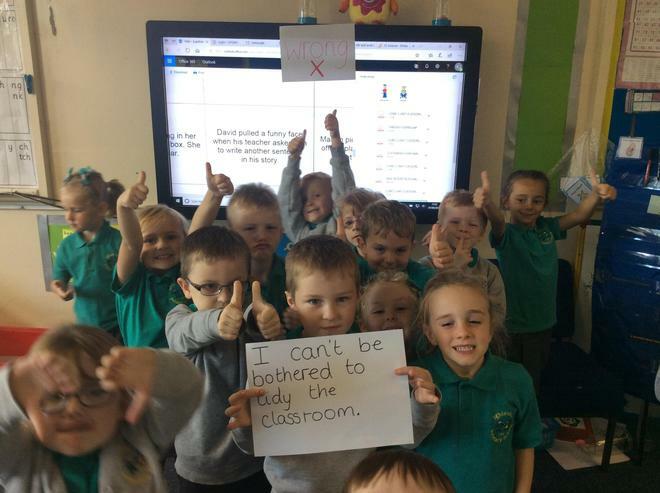 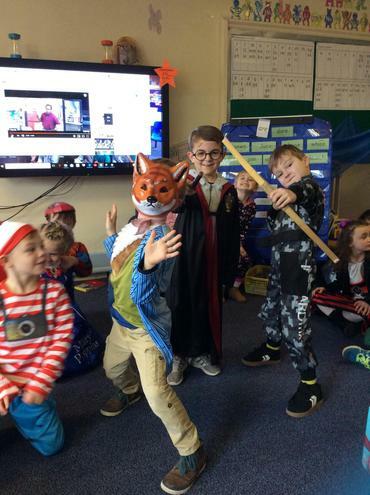 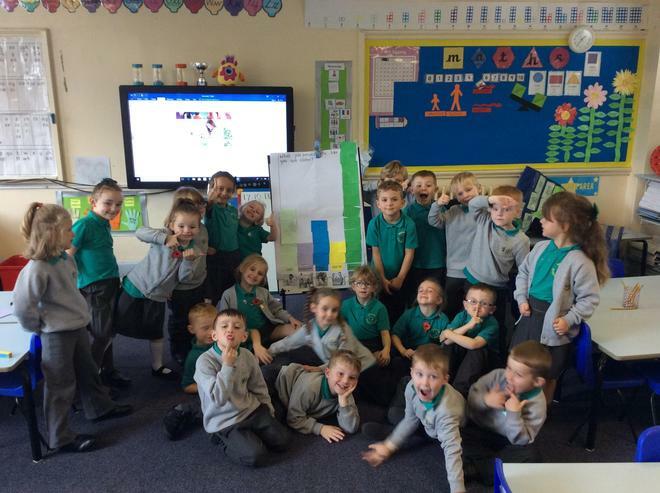 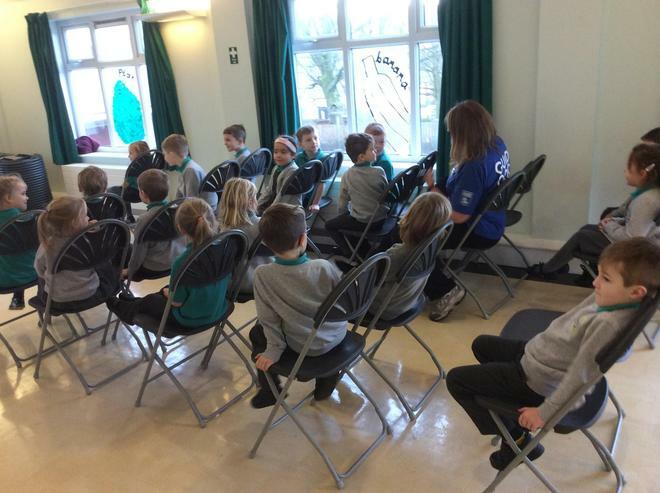 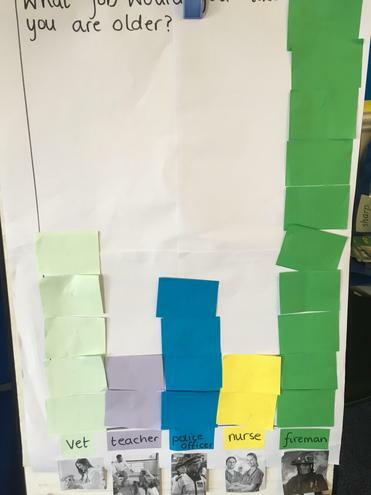 The children learned about how the internet works and how to stay safe online. 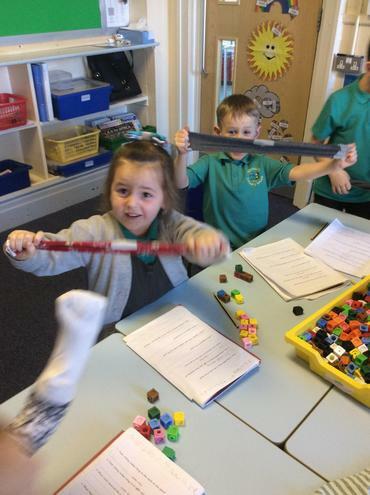 Which is the stretchiest sock? 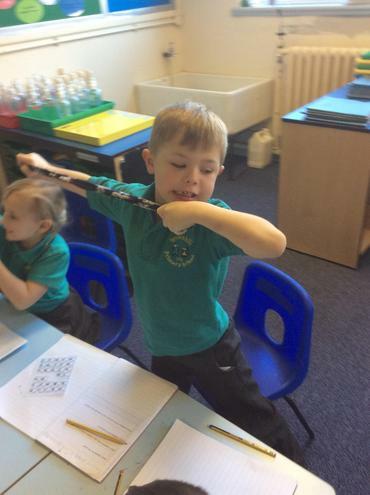 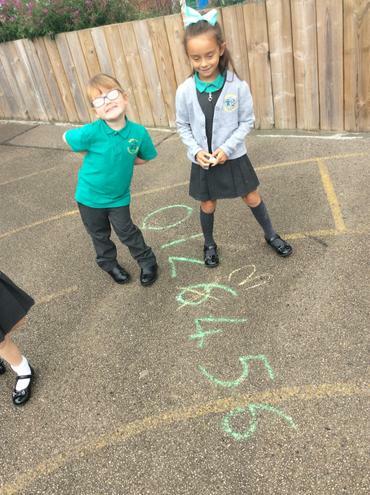 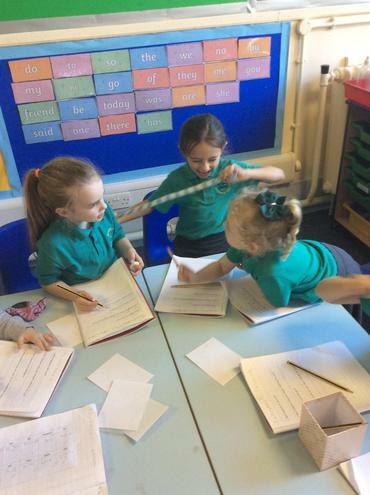 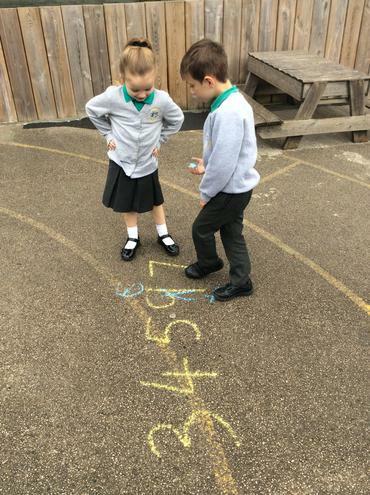 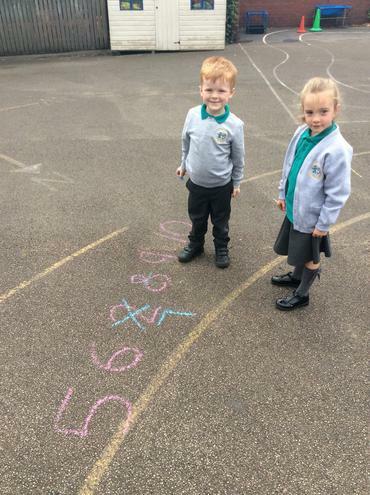 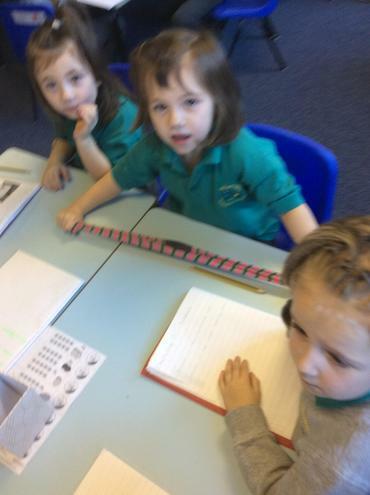 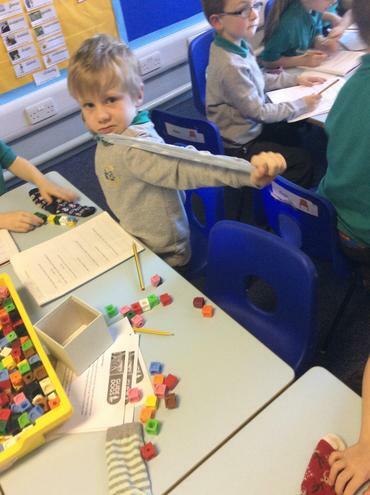 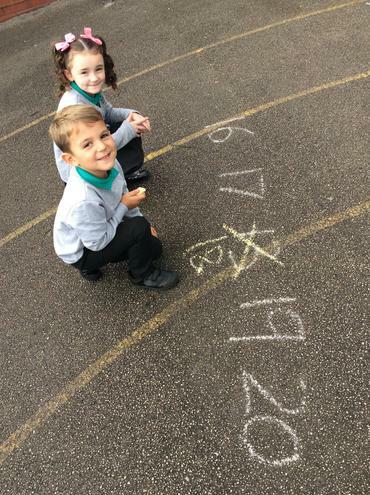 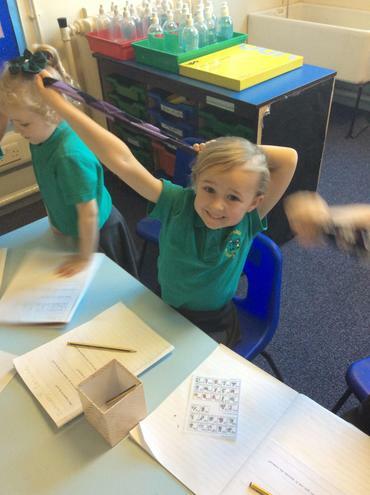 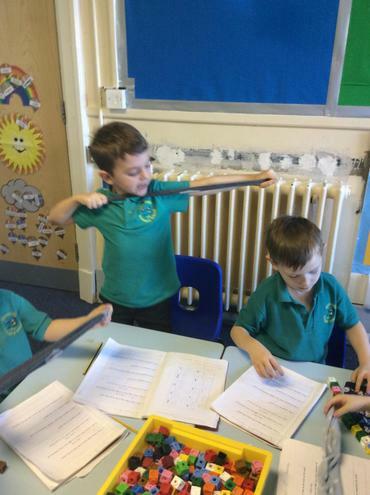 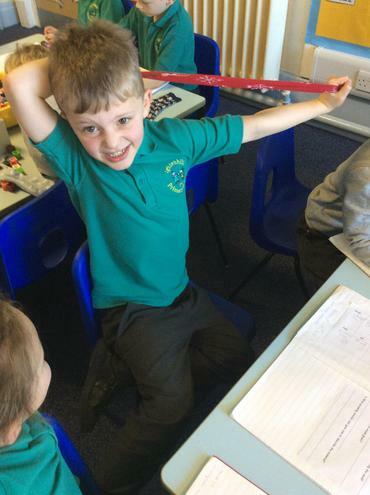 The children investigated the property stretchy. 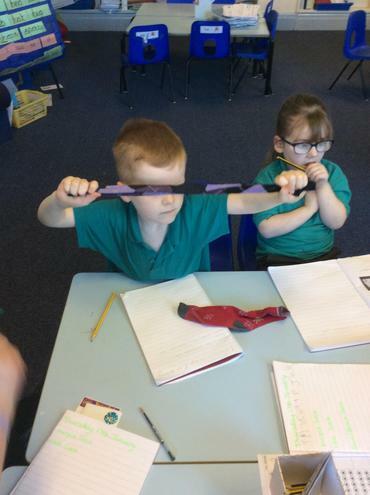 The observed how socks can stretch and how their length can change. 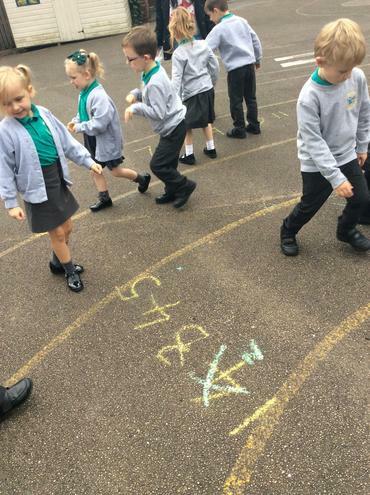 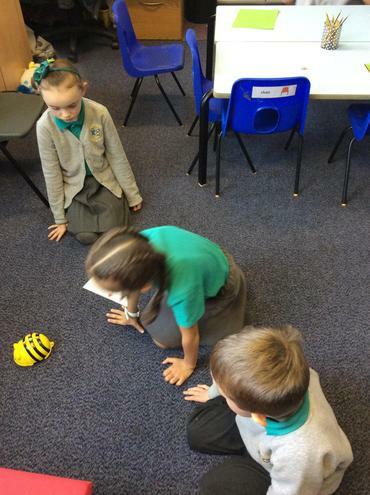 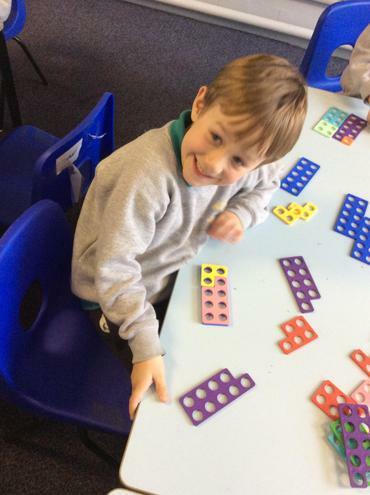 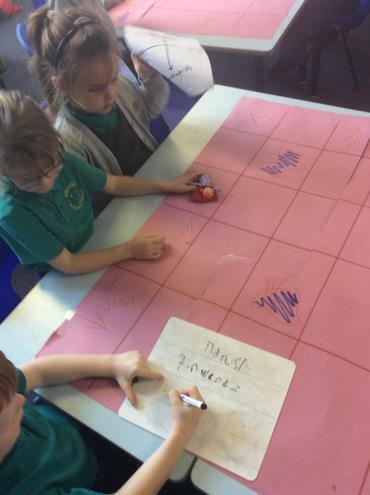 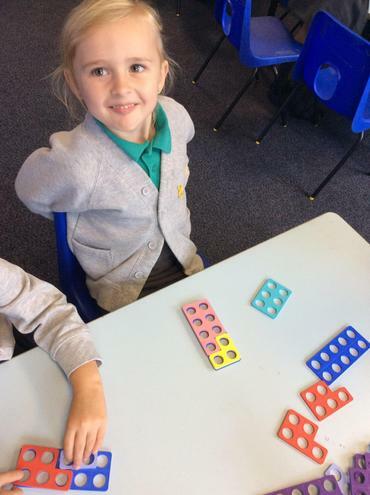 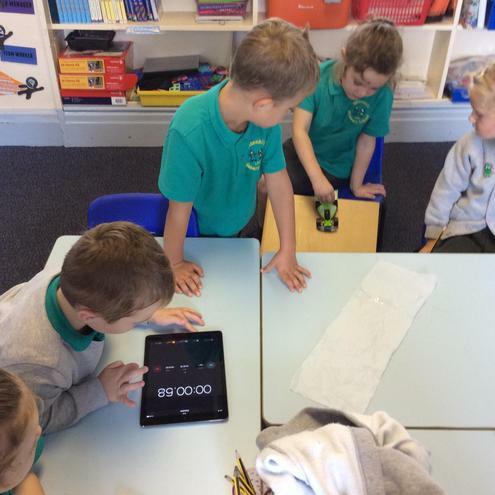 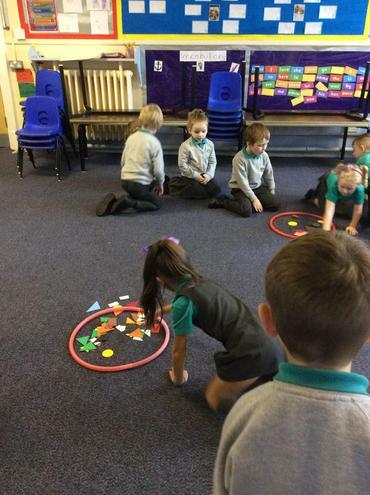 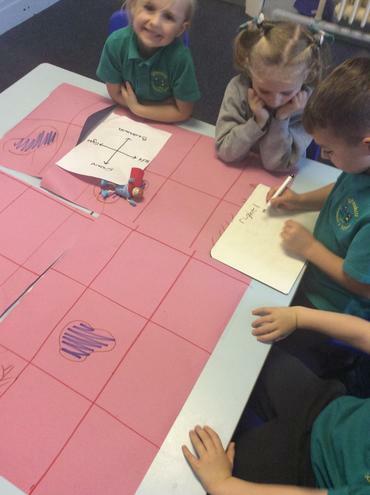 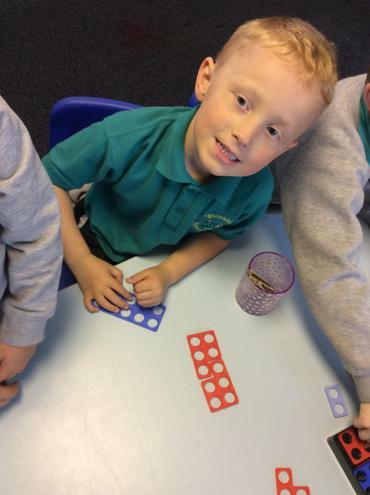 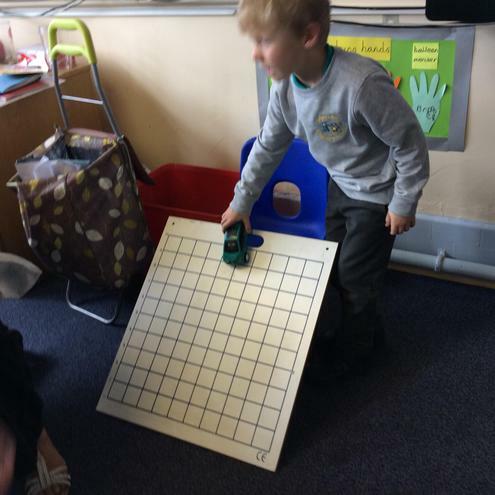 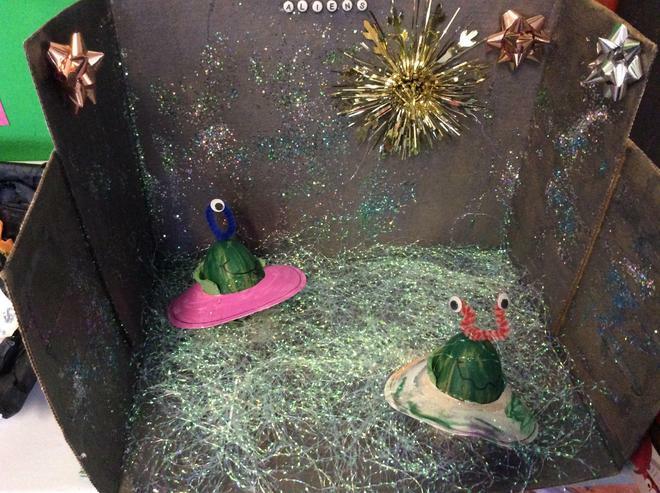 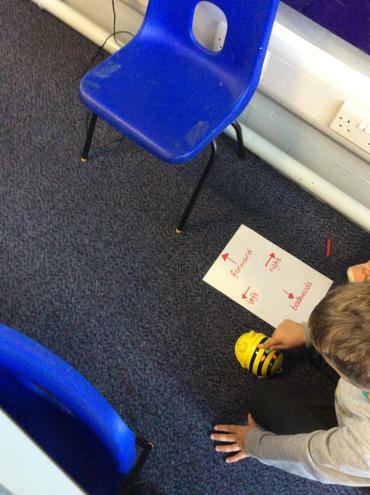 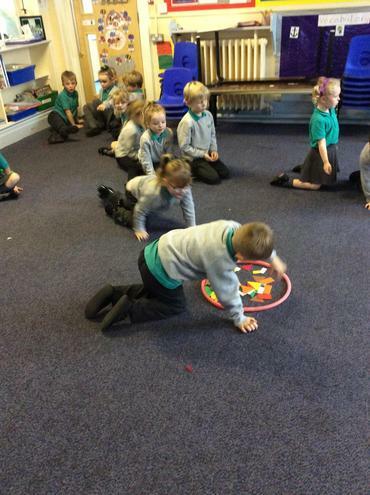 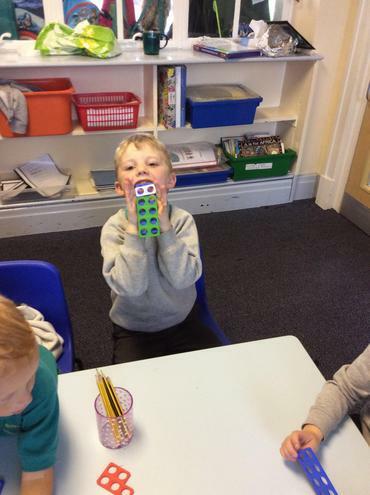 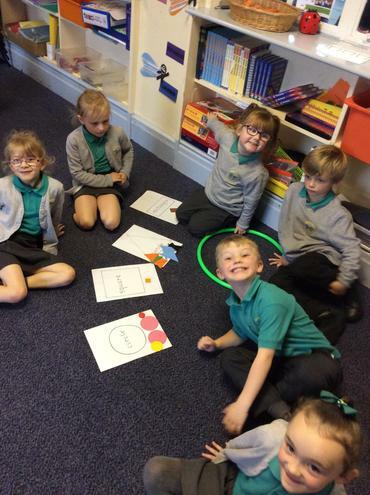 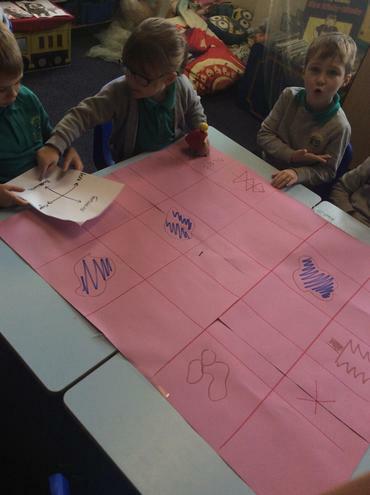 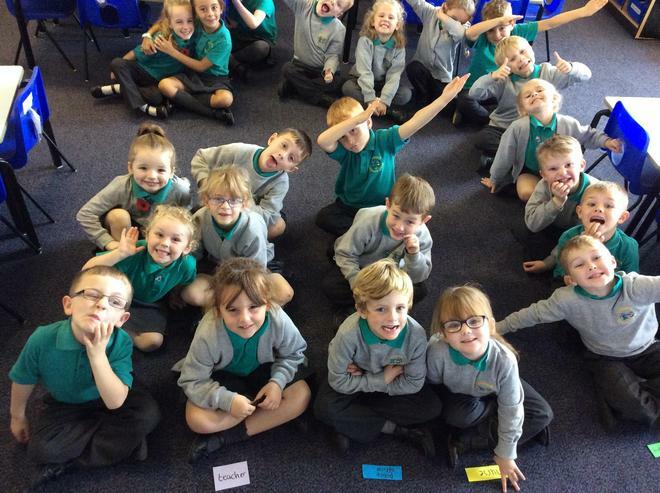 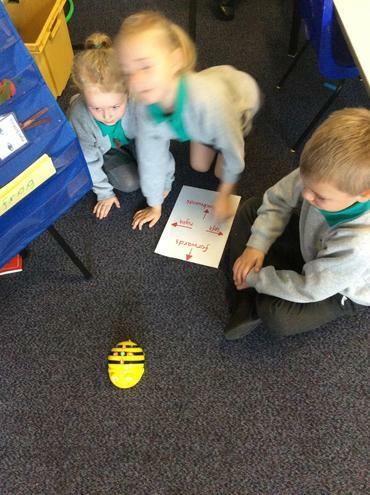 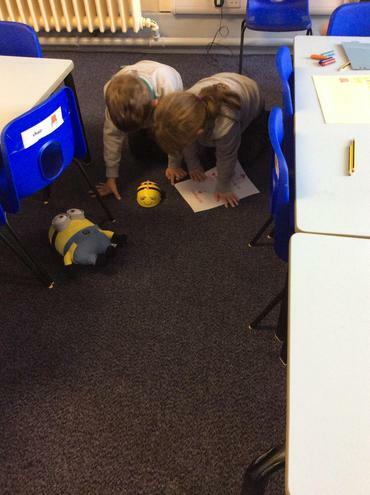 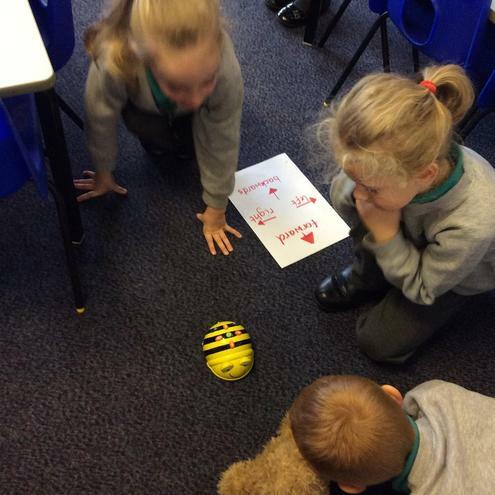 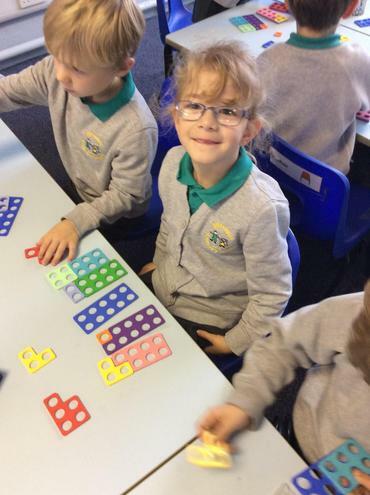 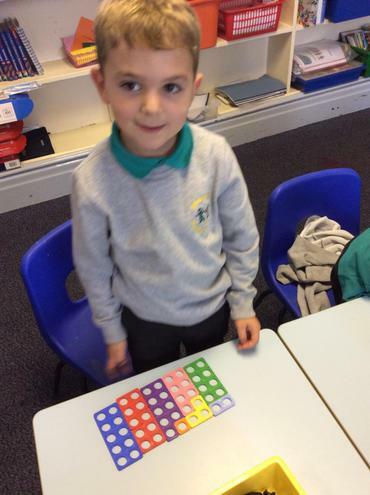 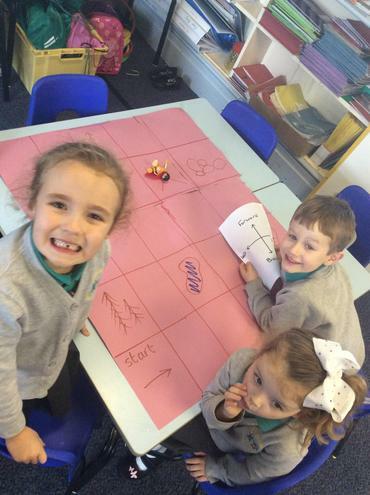 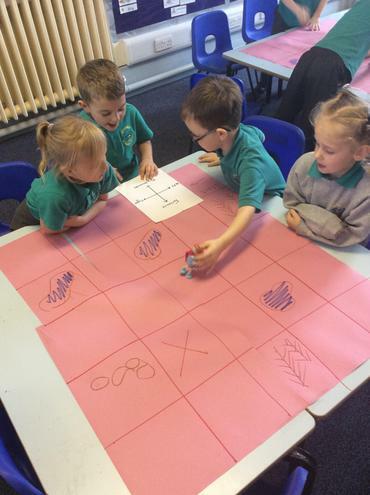 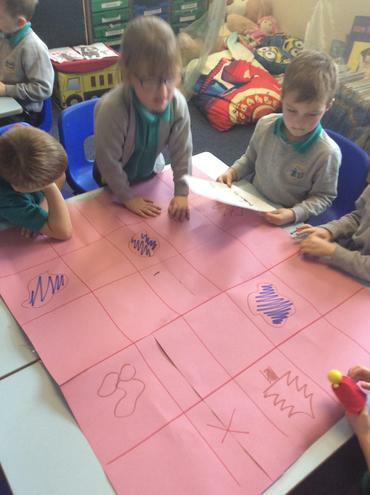 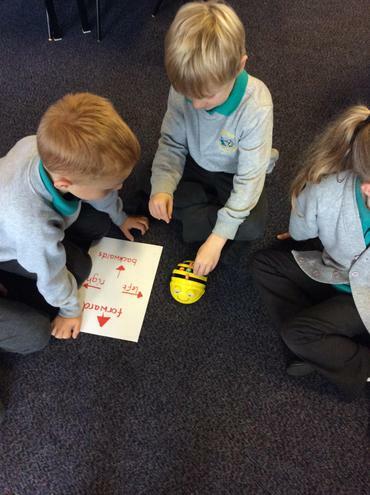 In computing, the children learned different directions and how to use them when coding. 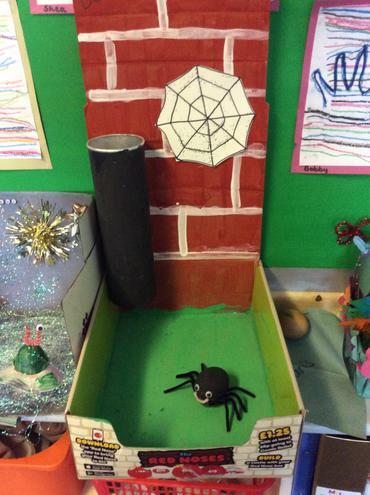 They had to move the superhero to the treasure on a treasure map. 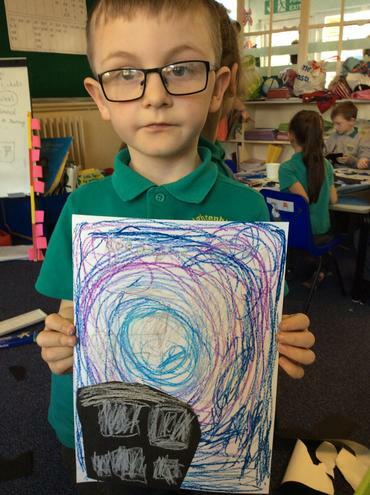 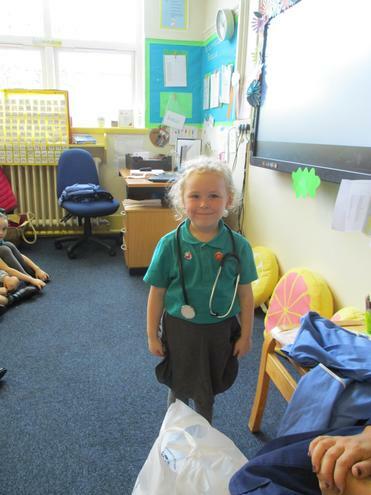 What job would you like to have when you are older? 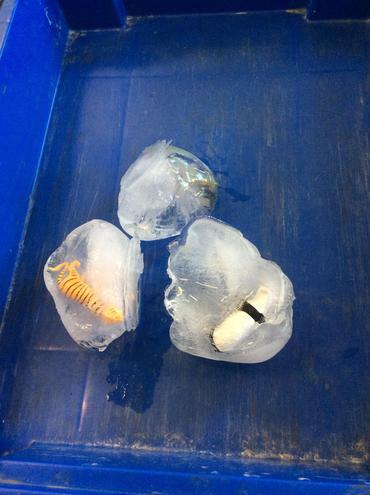 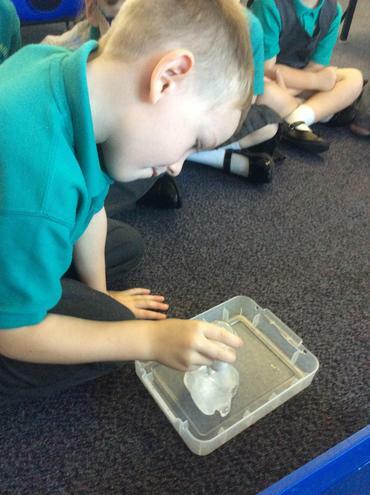 Which will melt the ice the quickest? 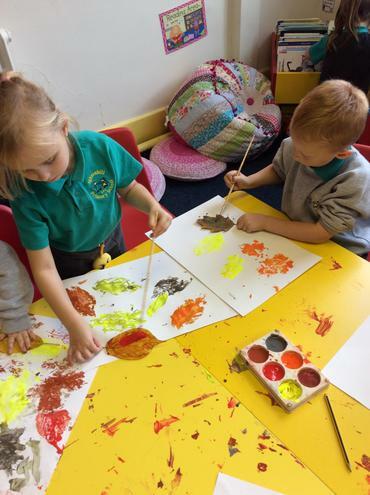 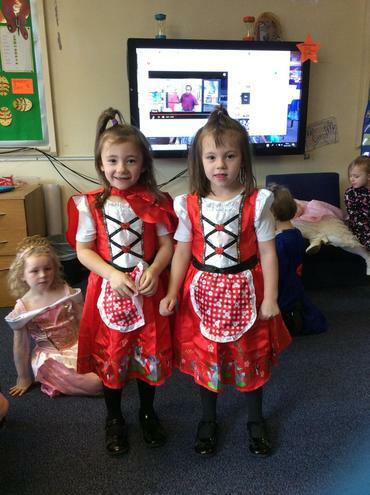 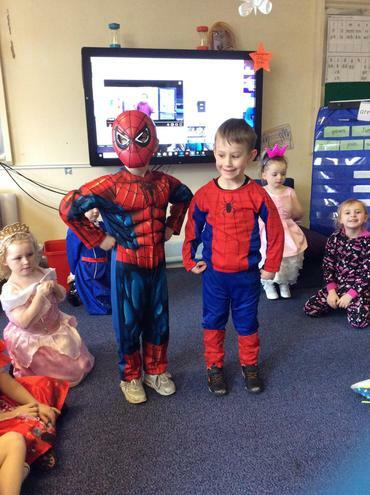 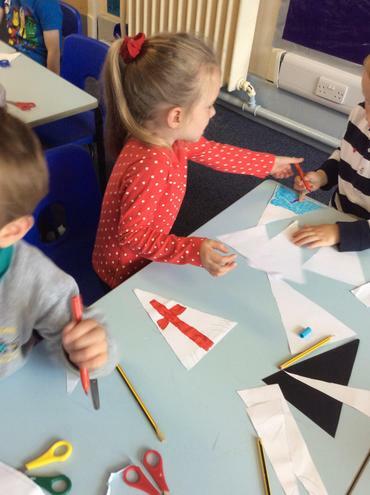 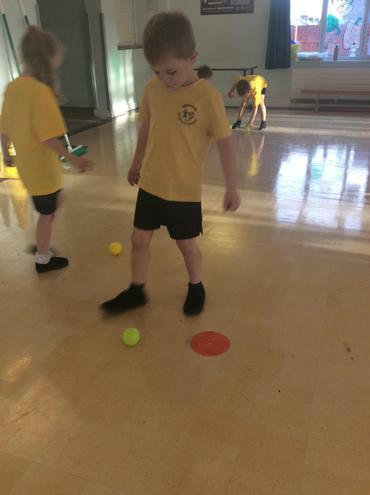 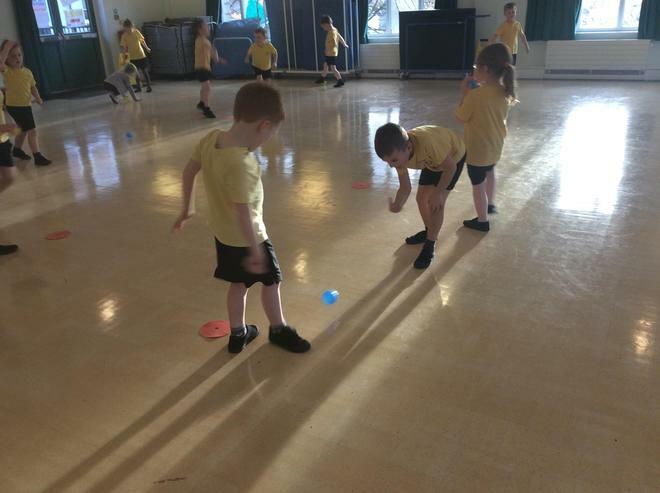 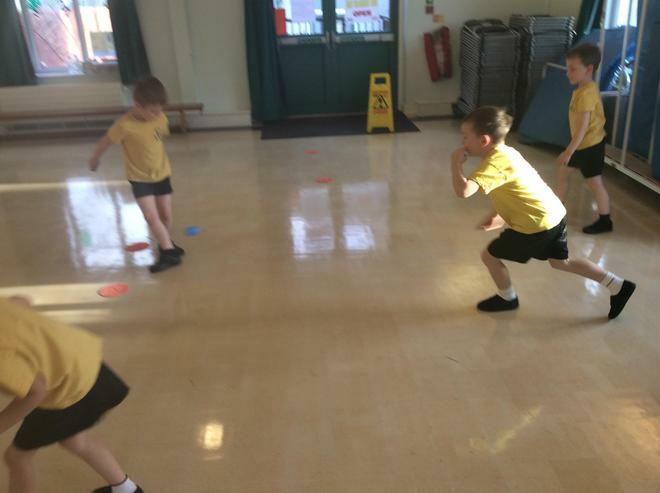 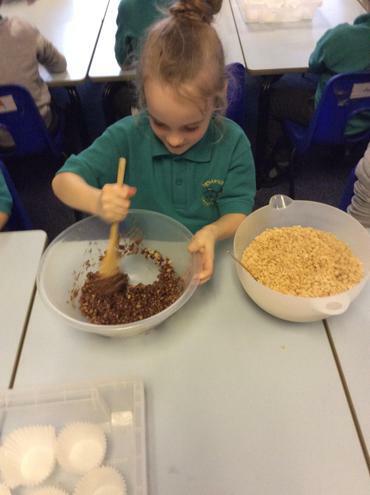 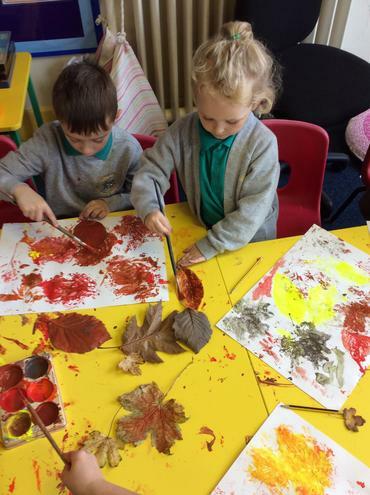 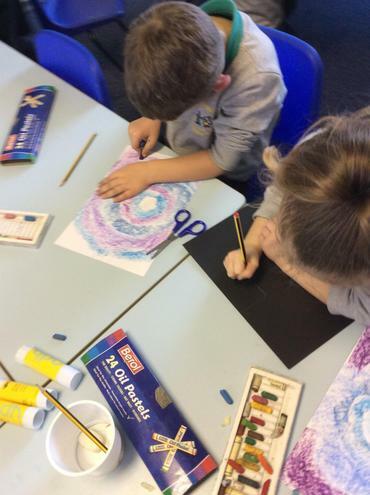 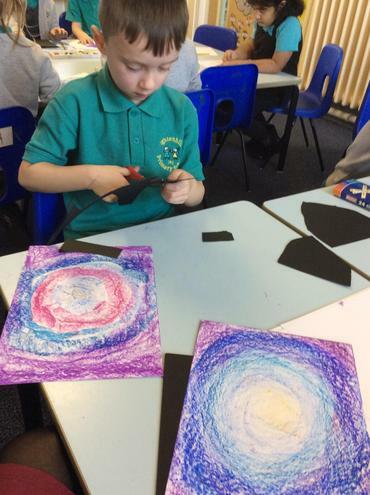 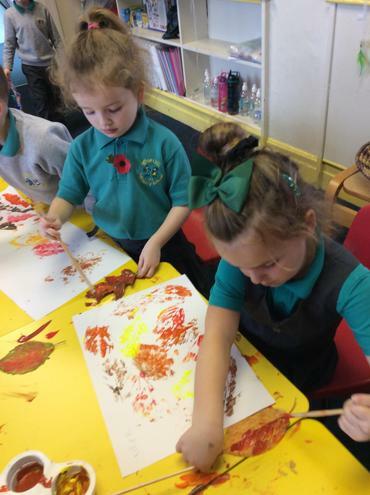 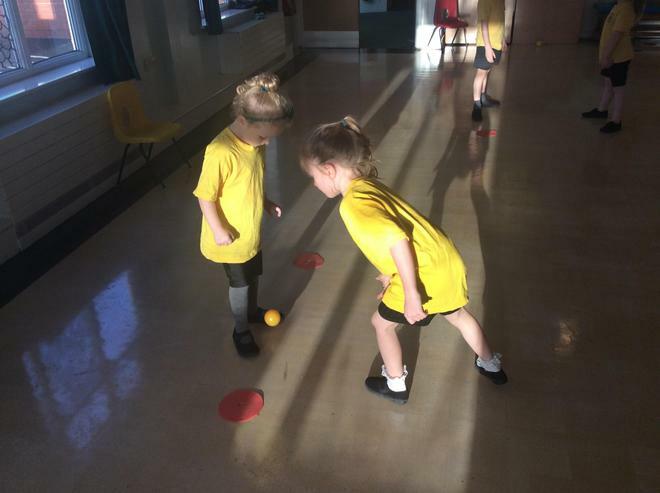 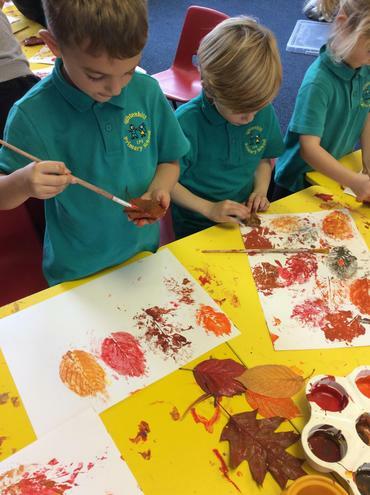 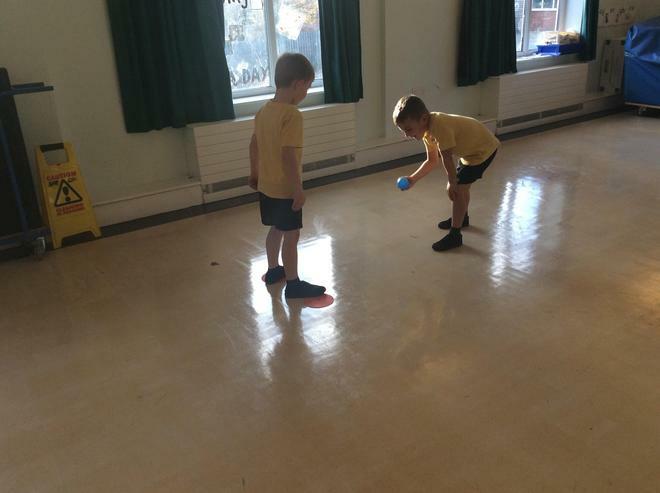 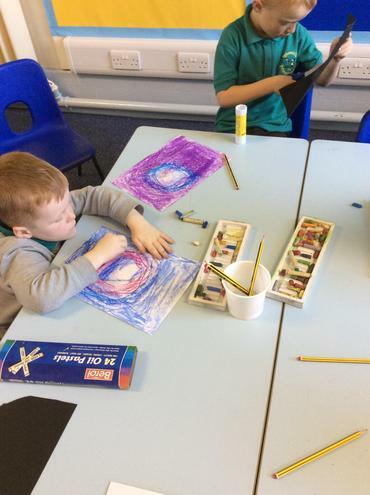 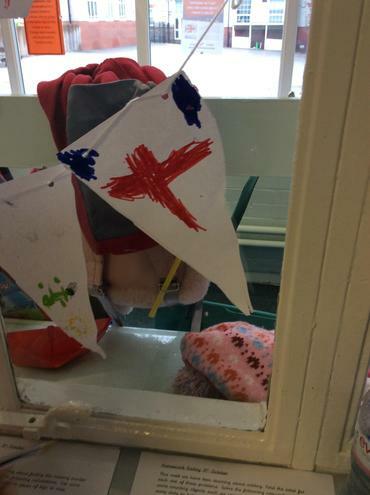 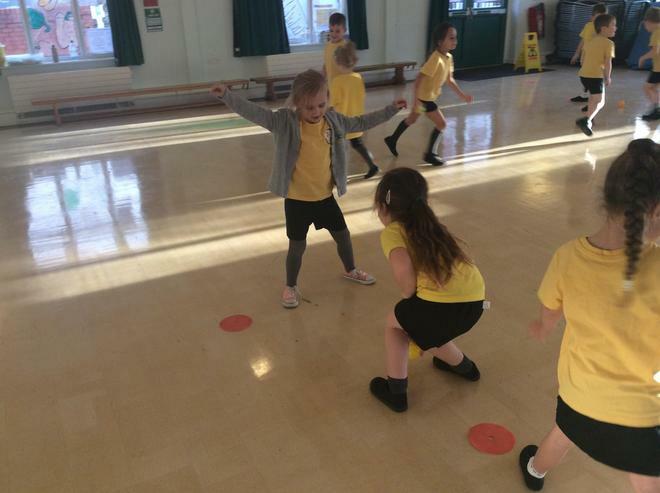 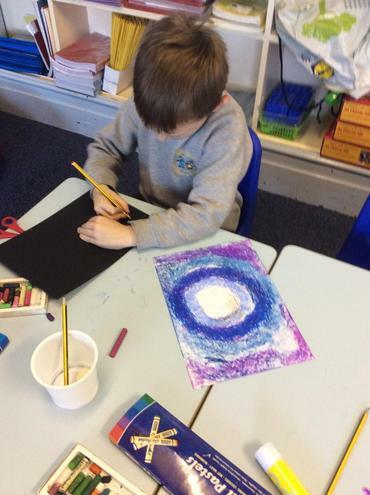 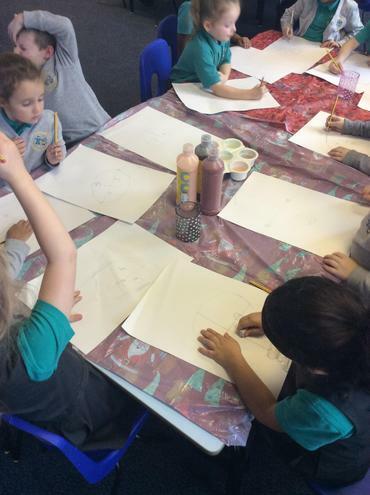 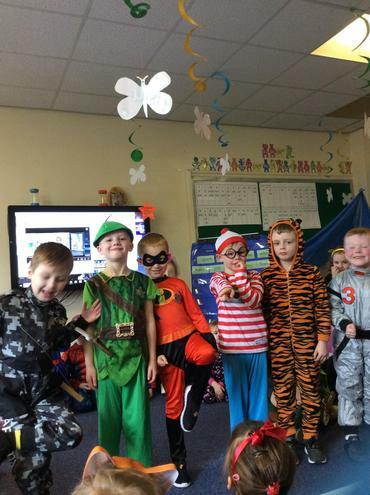 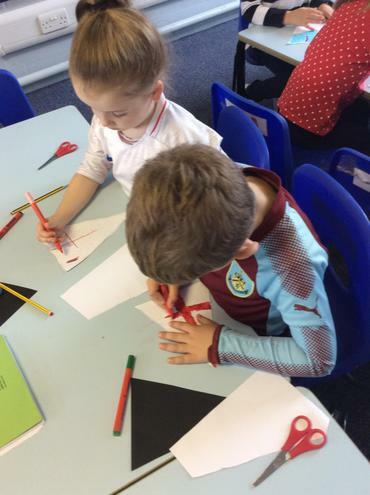 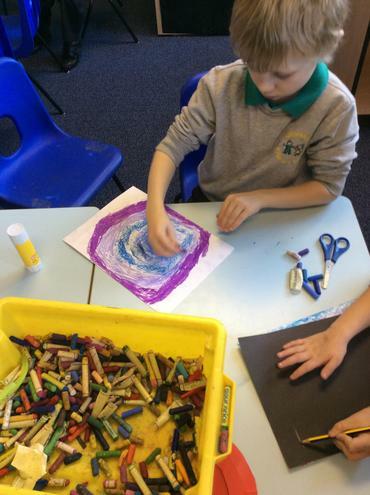 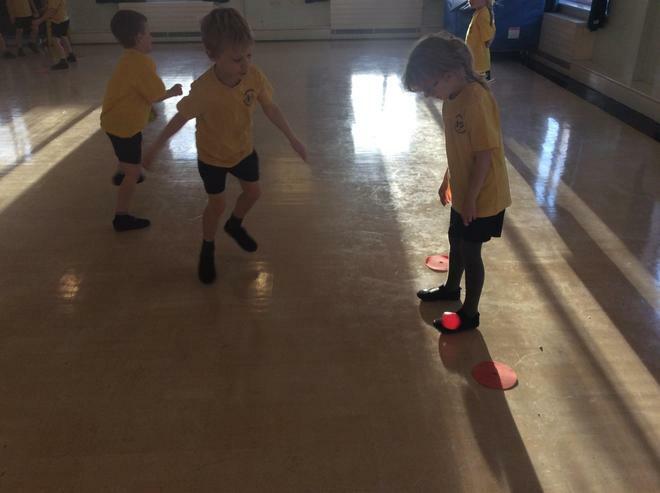 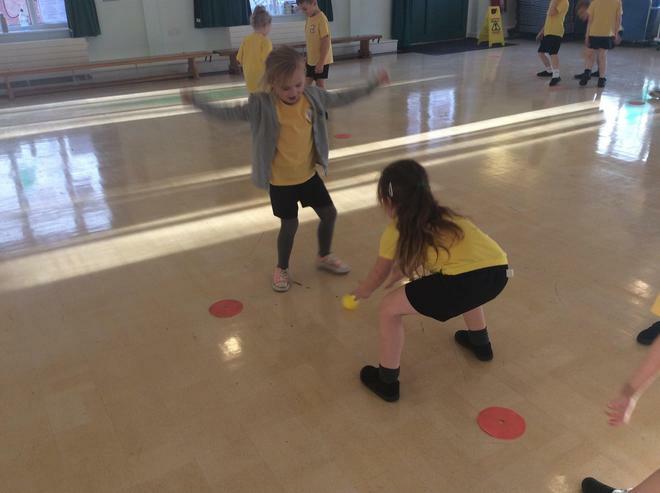 To celebrate Red White and Blue day, the children have completed different activities. 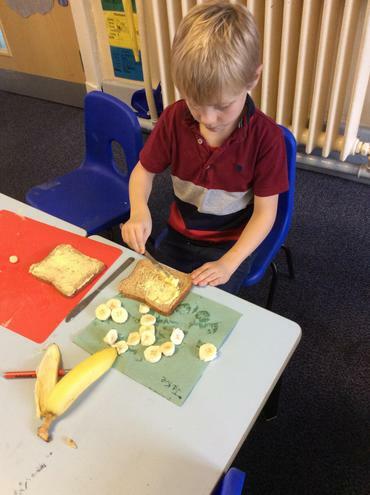 The children have learned about rationing and they have created a list of party food a solider who was coming back from the war. 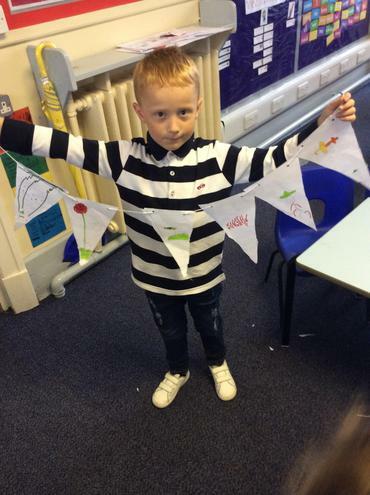 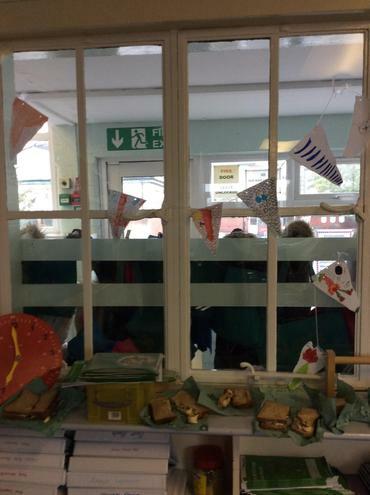 Additionally, they have created bunting to decorate the classroom with for a street party. 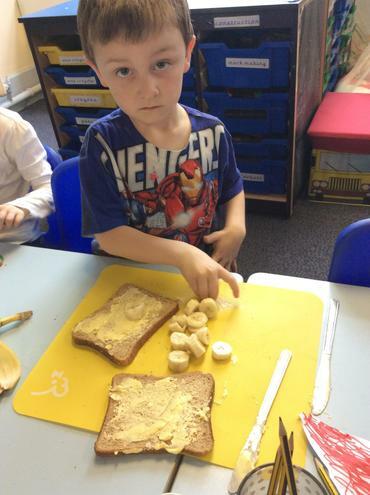 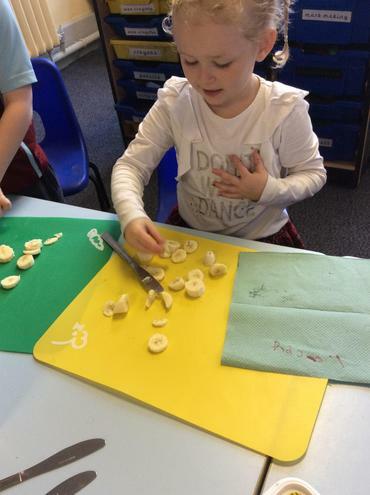 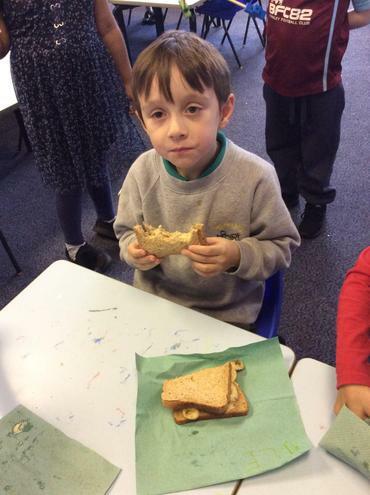 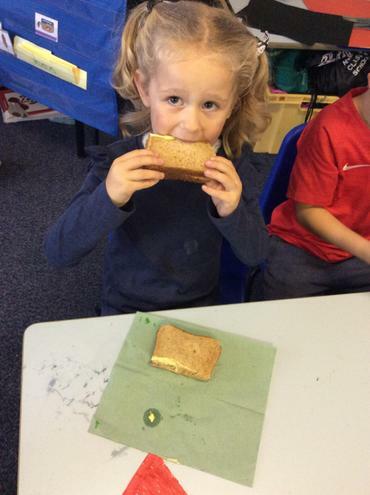 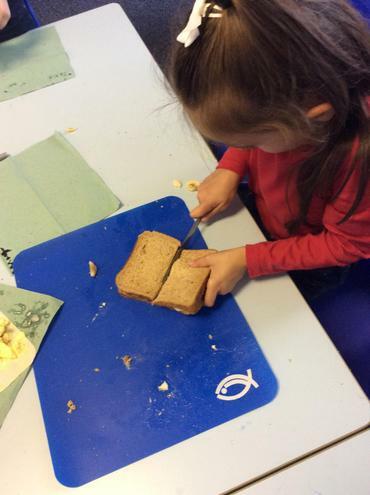 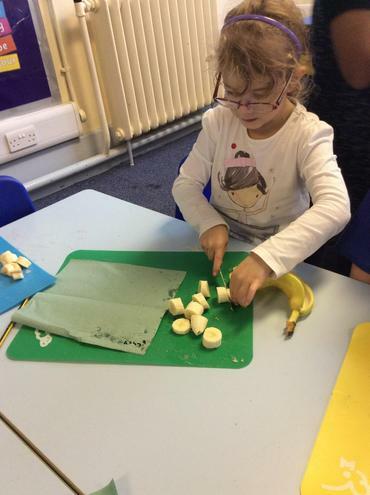 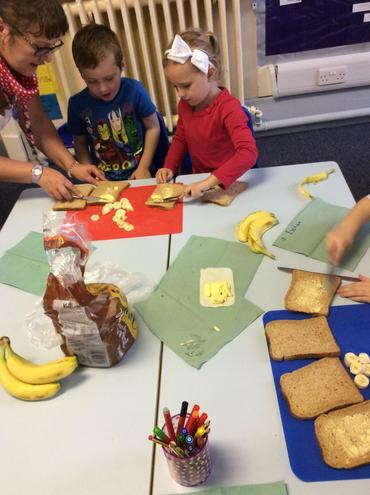 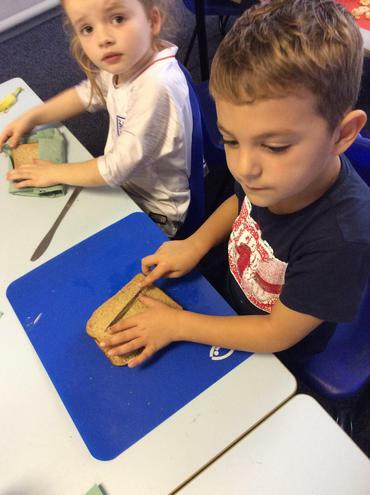 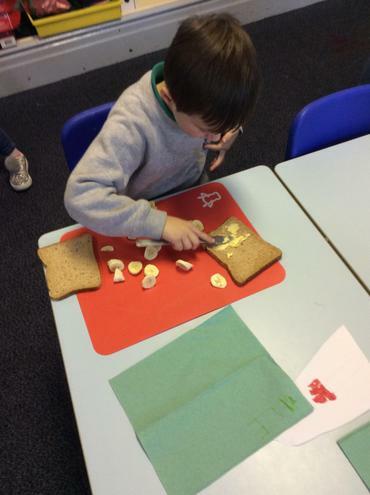 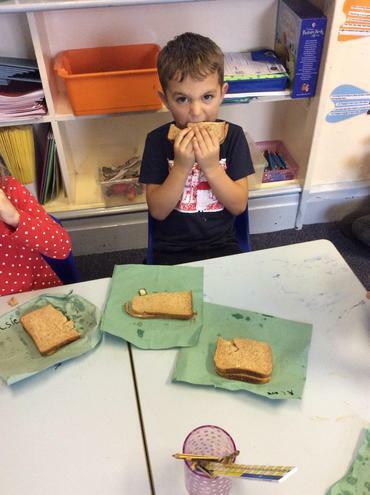 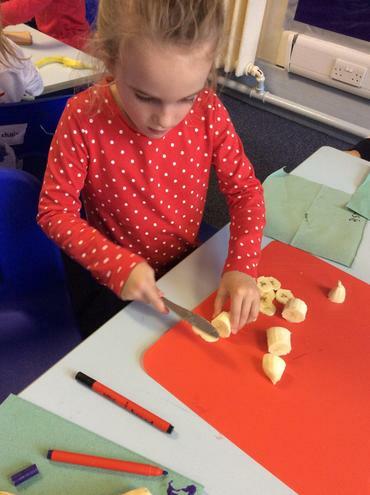 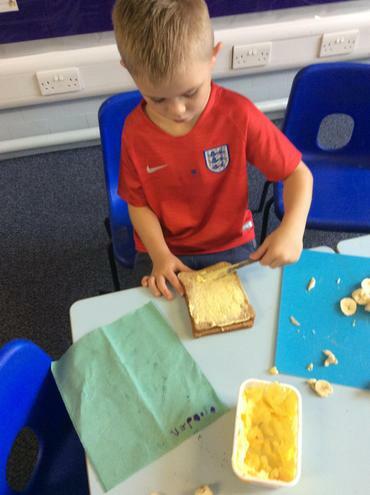 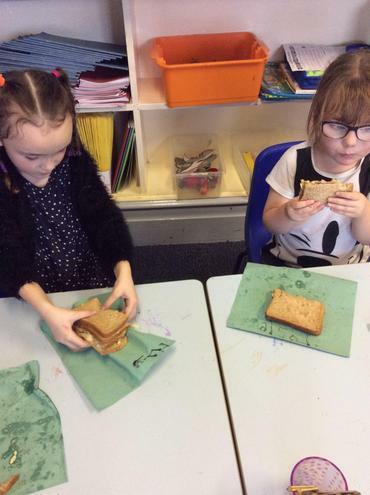 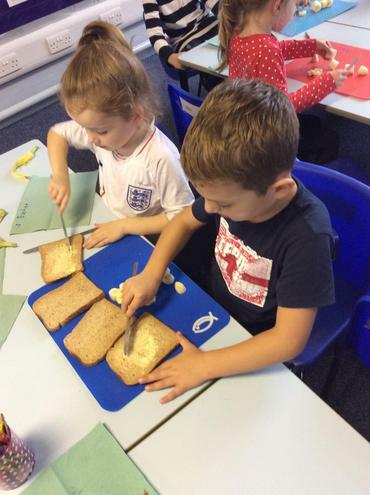 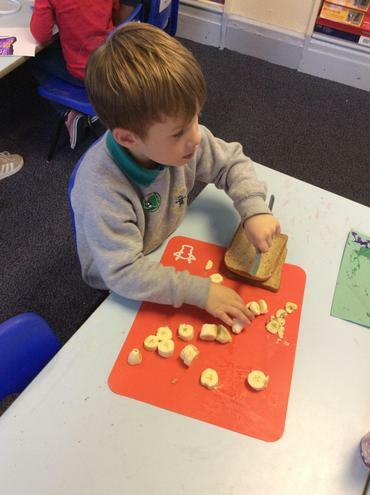 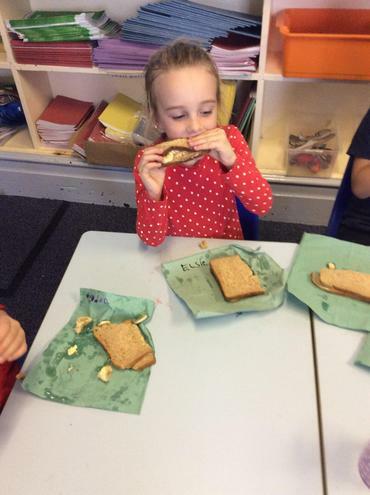 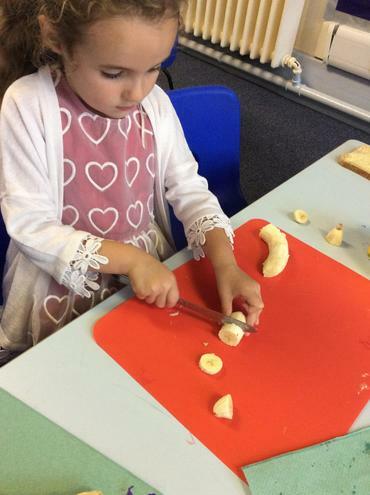 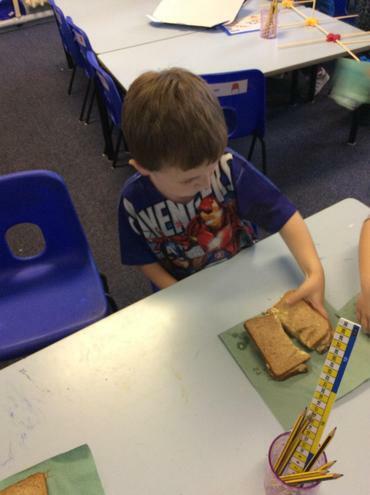 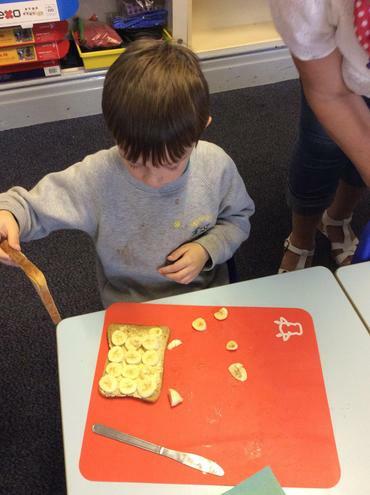 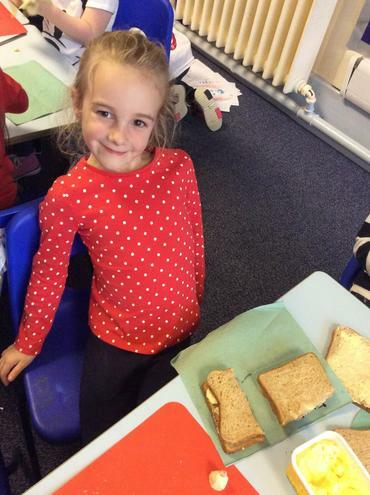 Class 4 made banana sandwiches which was a rare treat at the time of the war. 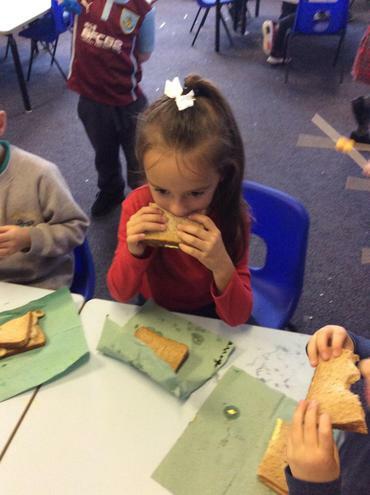 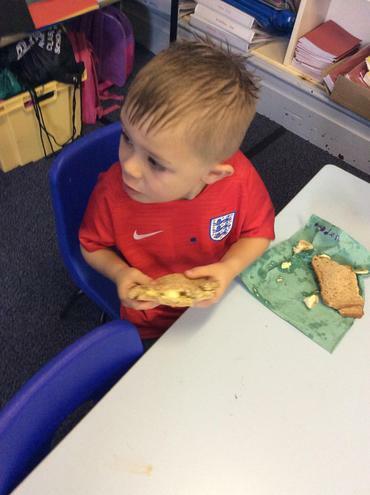 The children thought the sandwiches were delicious! 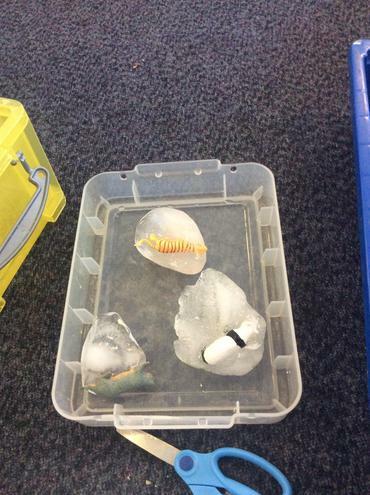 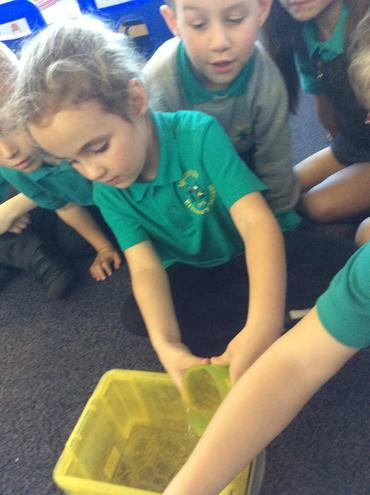 Do these items float or sink? 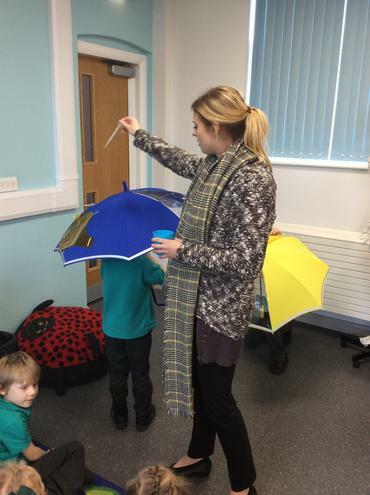 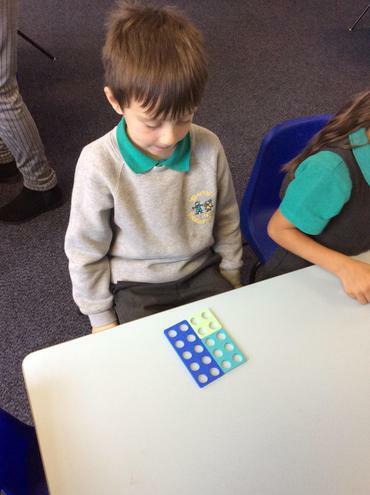 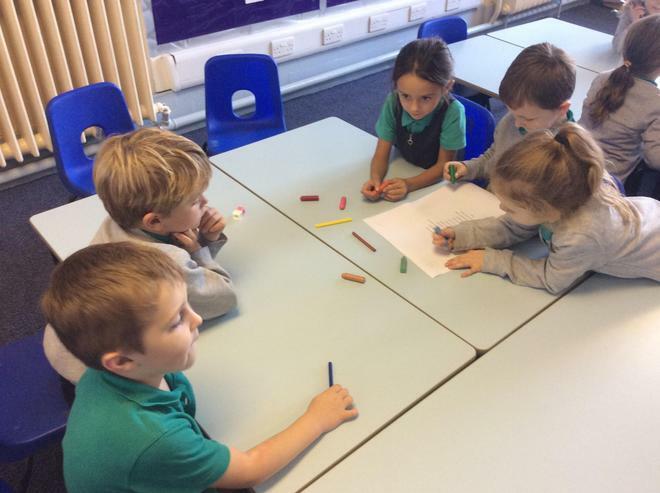 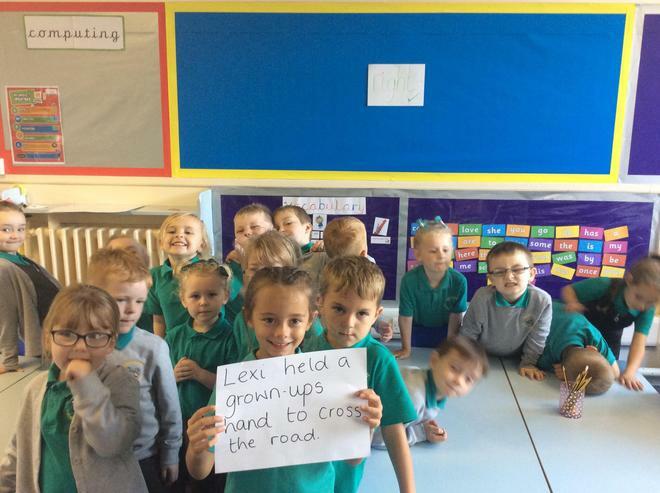 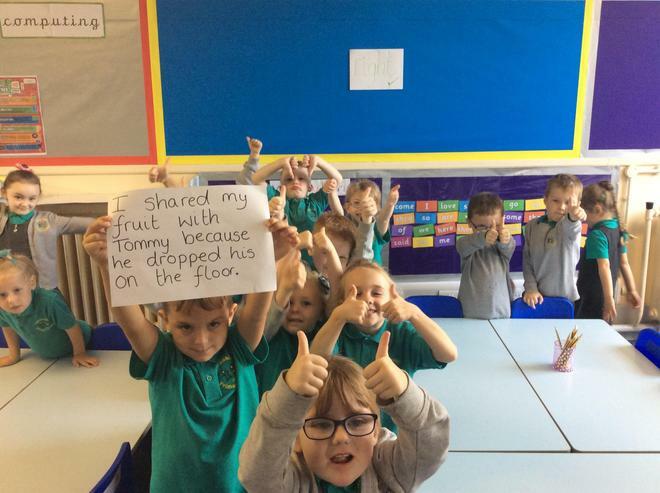 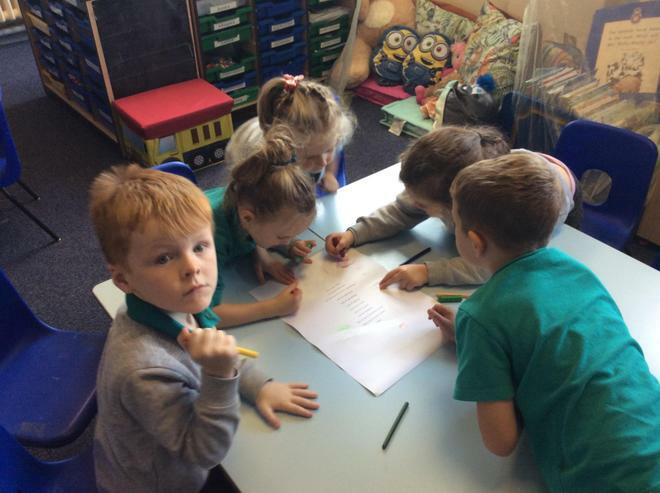 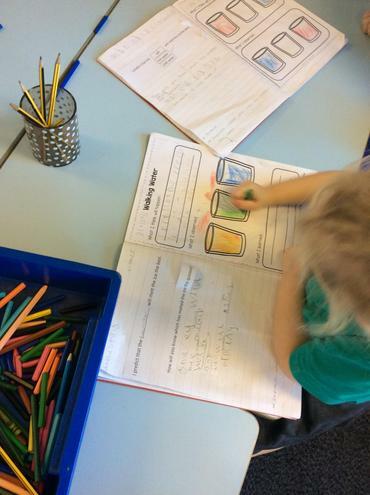 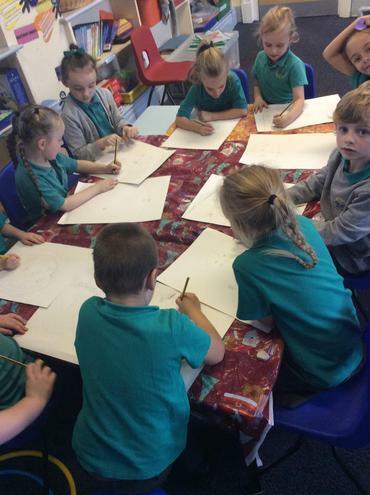 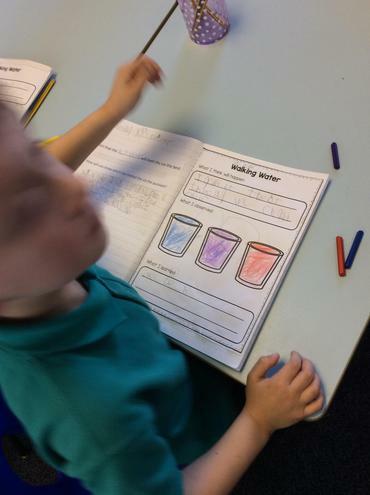 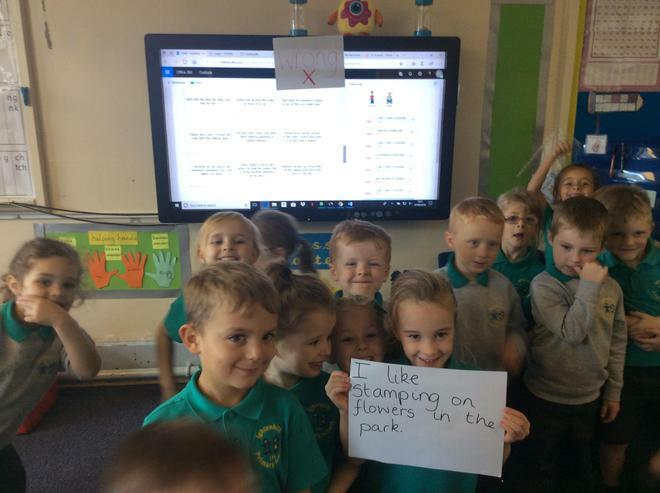 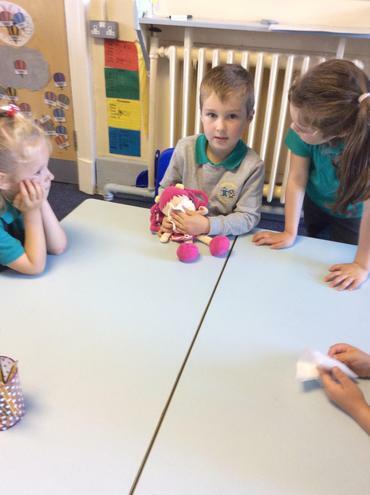 The children discussed how to perform a fair test. 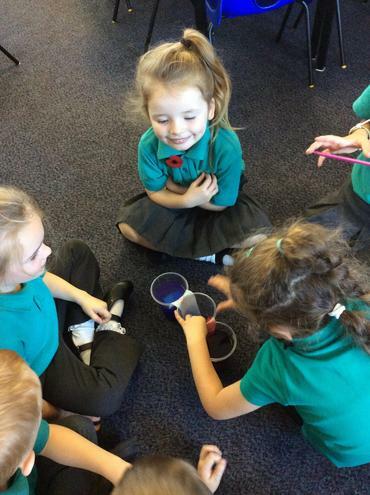 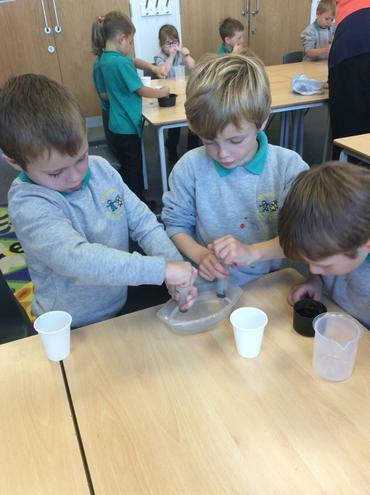 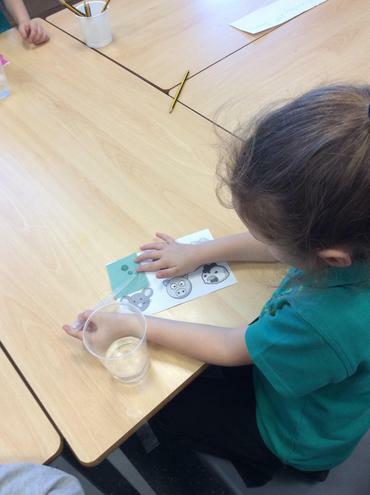 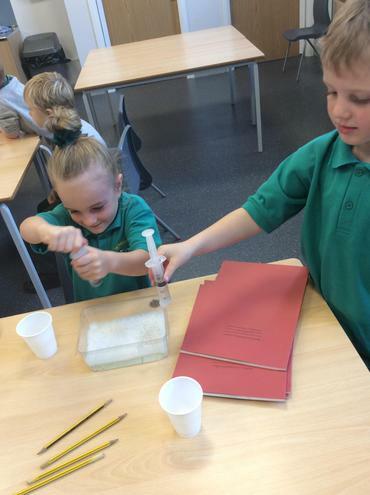 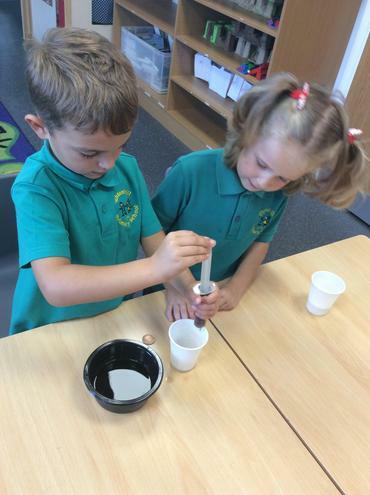 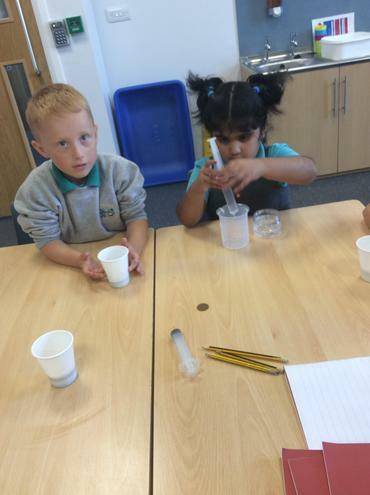 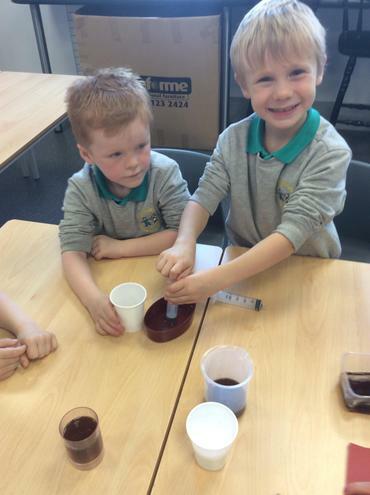 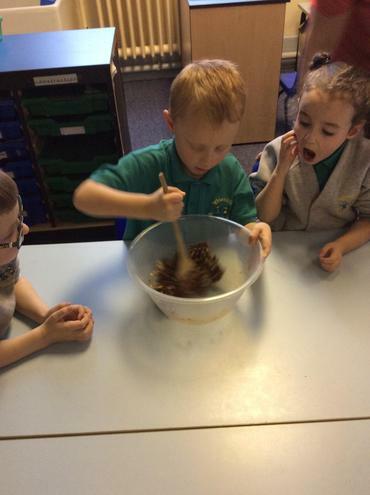 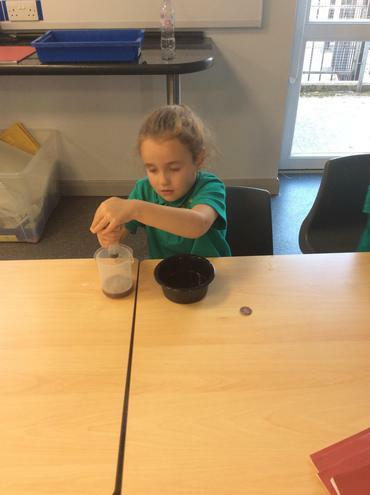 They experimented to find which liquid would best clean their dirty pennies. 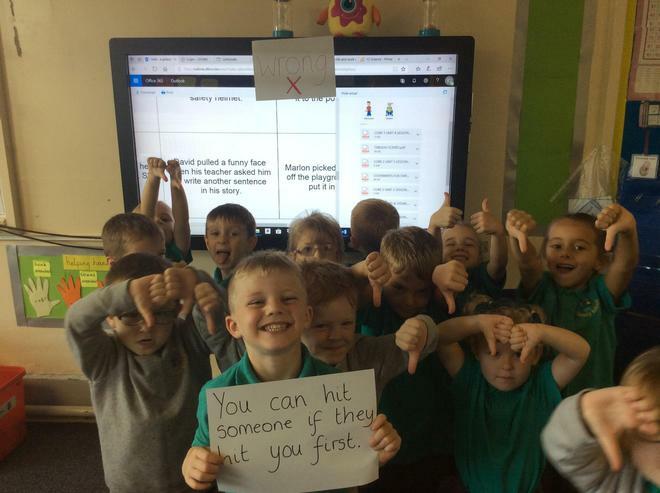 They found out that their predictions were wrong. 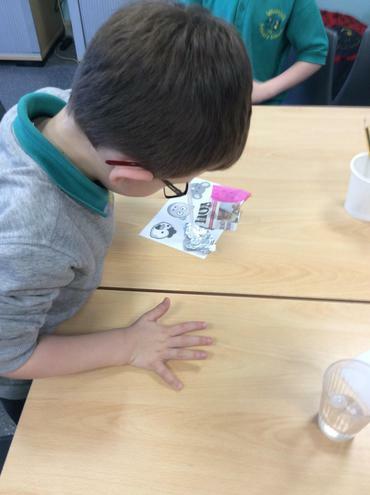 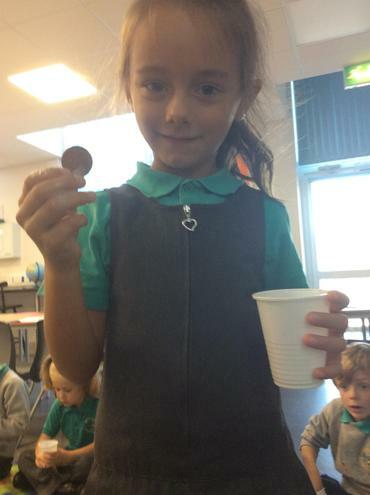 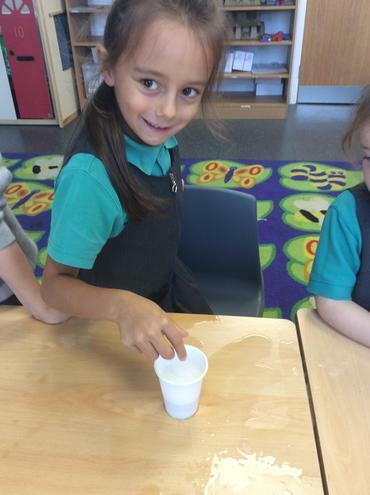 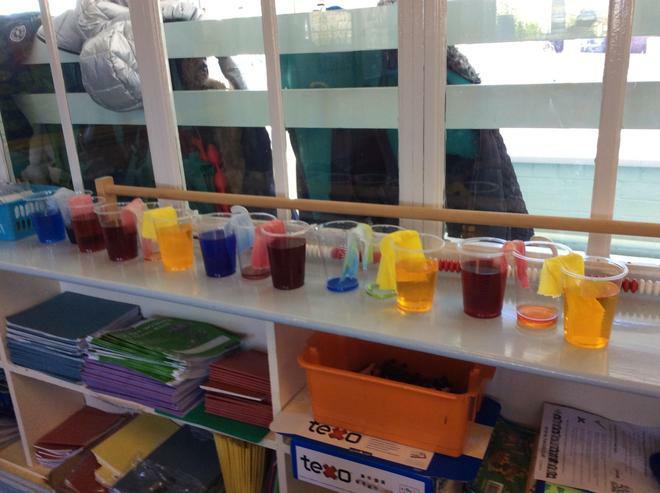 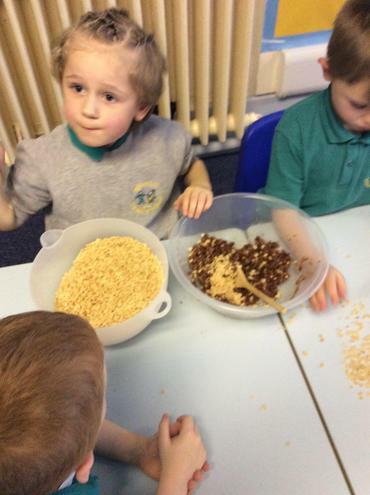 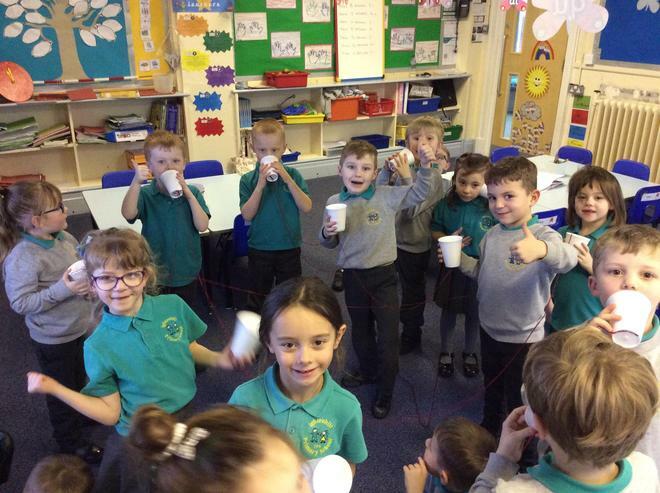 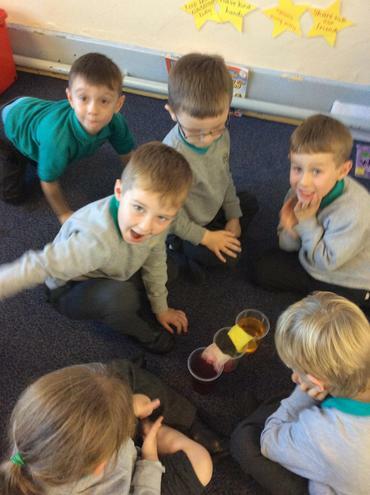 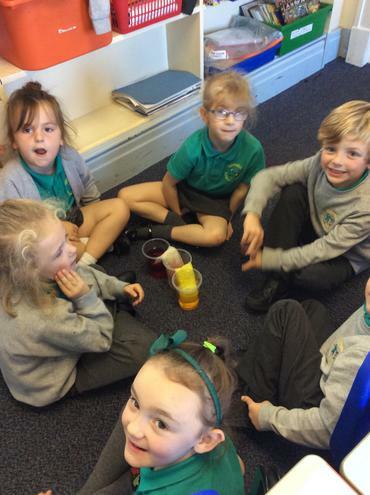 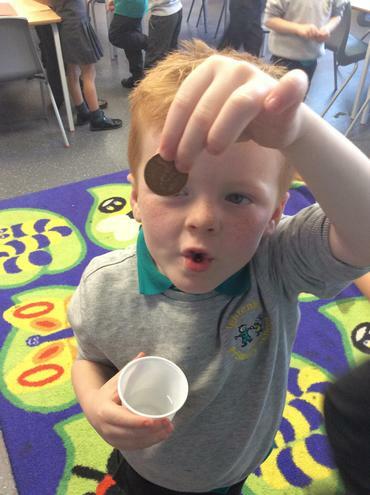 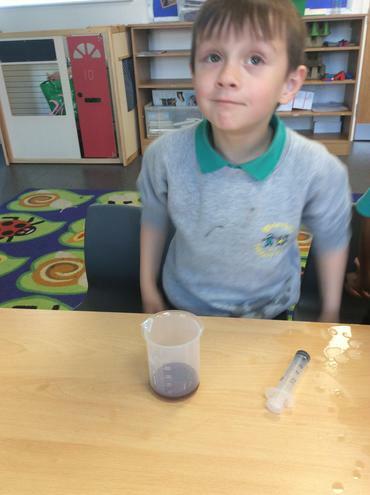 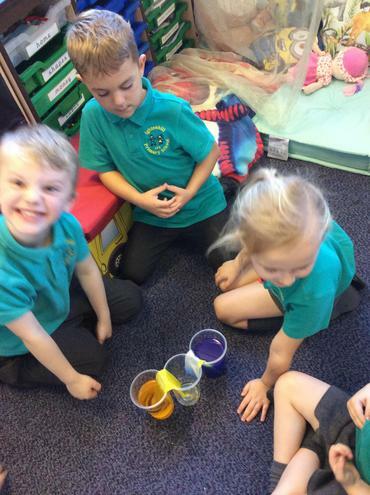 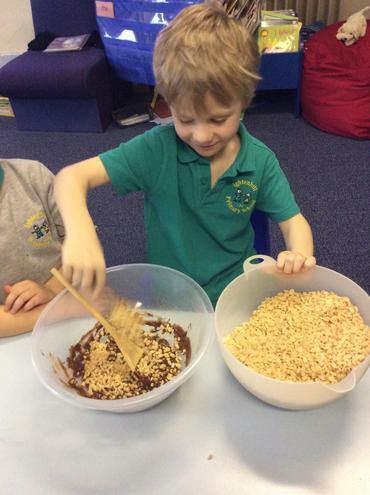 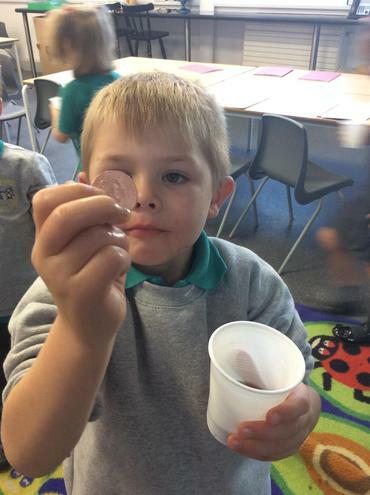 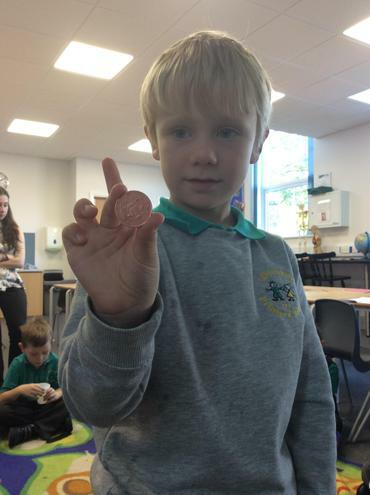 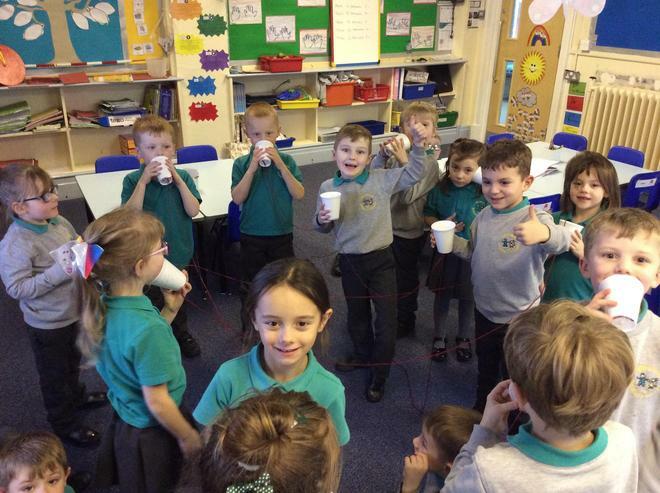 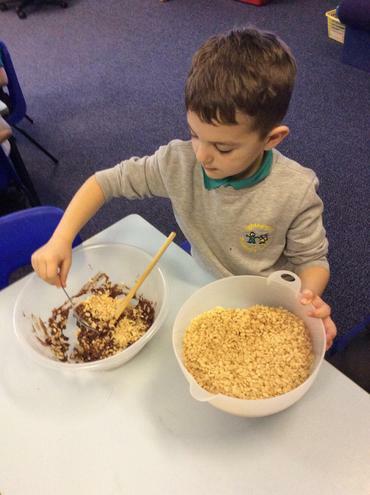 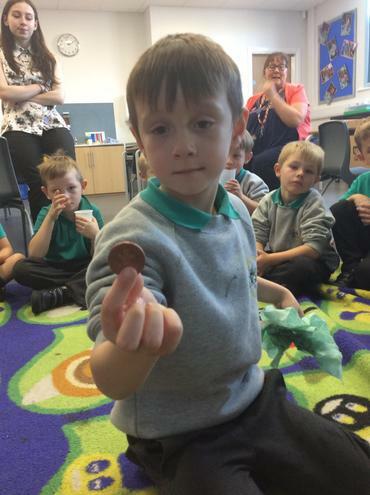 It was not washing up liquid that cleaned their pennies the best; it was coke and vinegar! 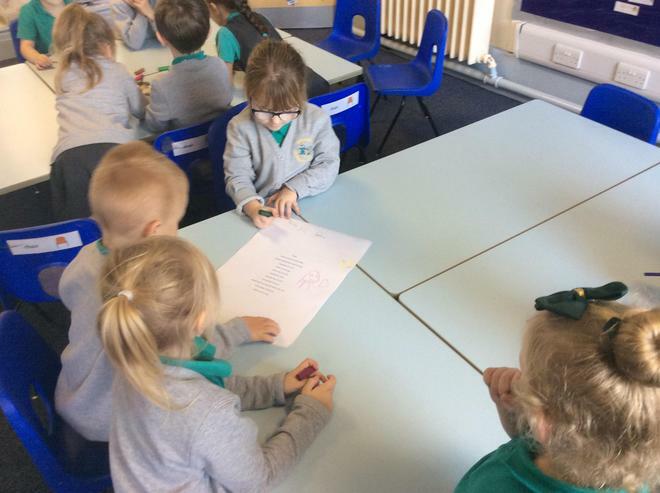 Learning about our school prayer. 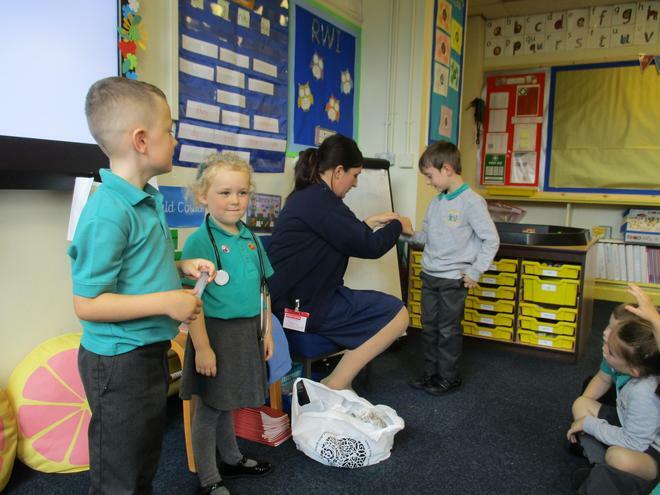 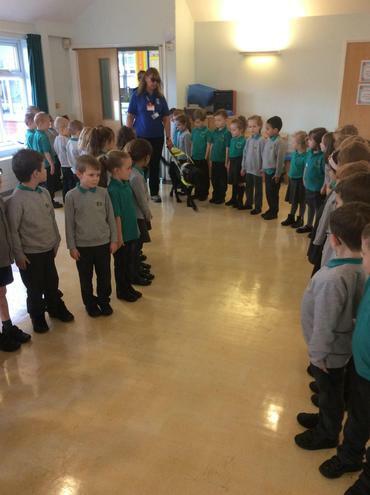 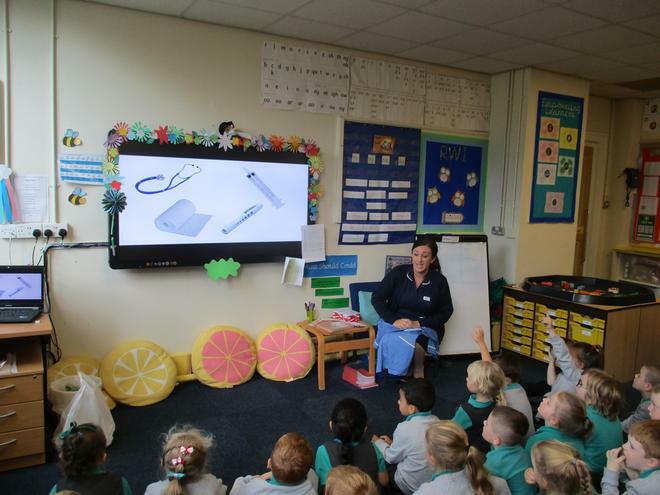 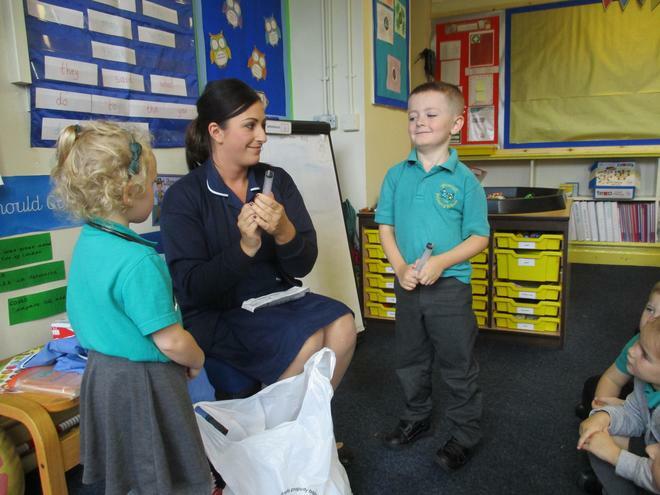 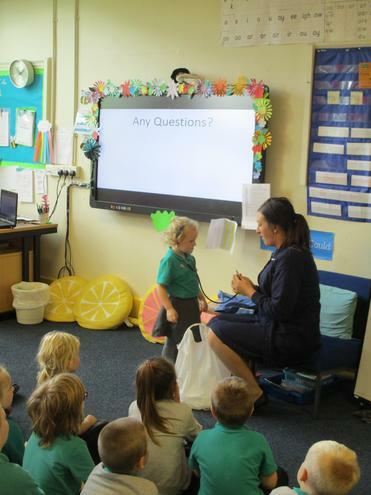 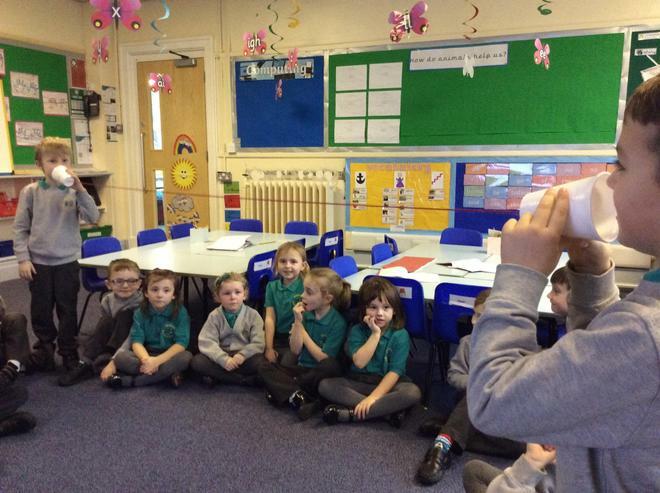 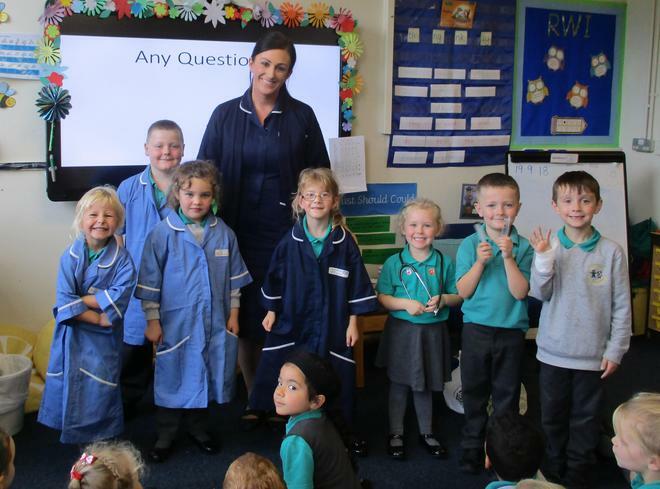 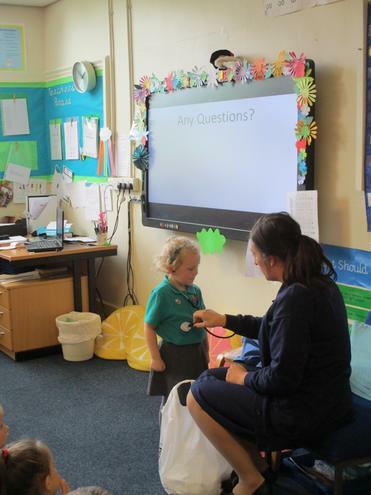 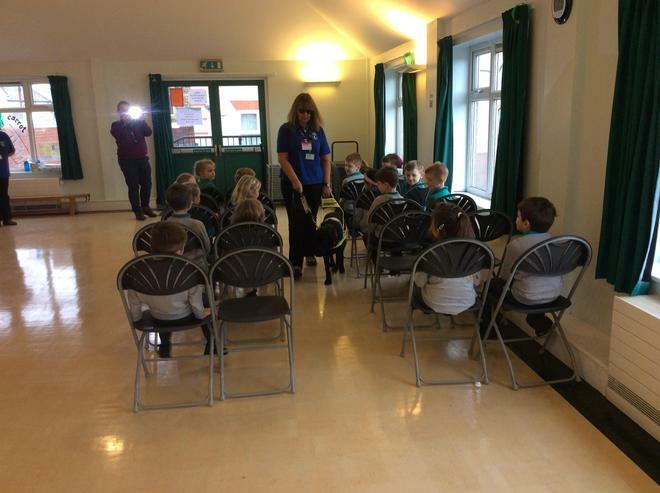 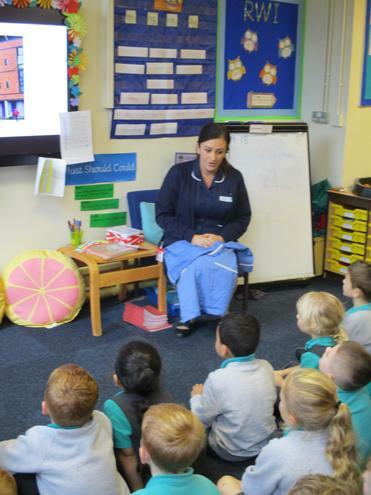 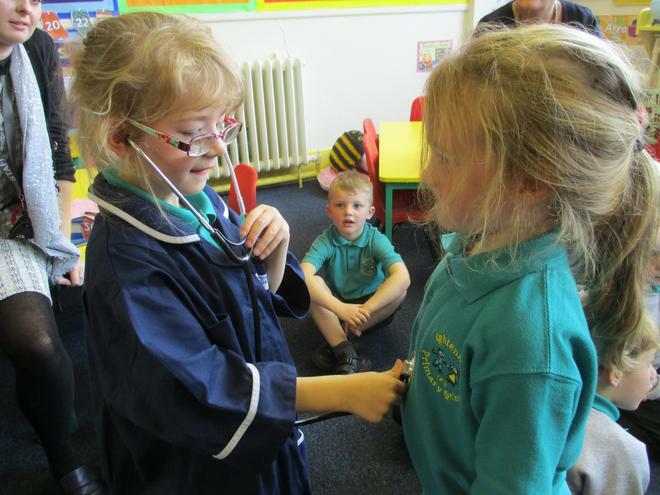 Year 1 had a nurses visit where they asked their prepared questions to the nurse. 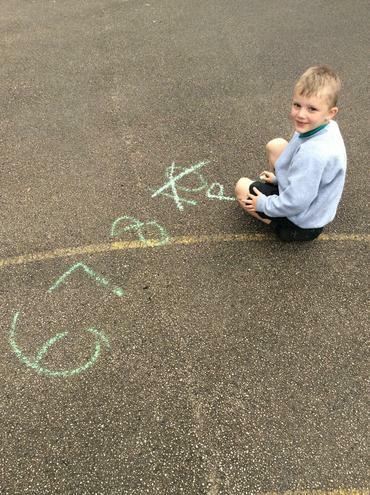 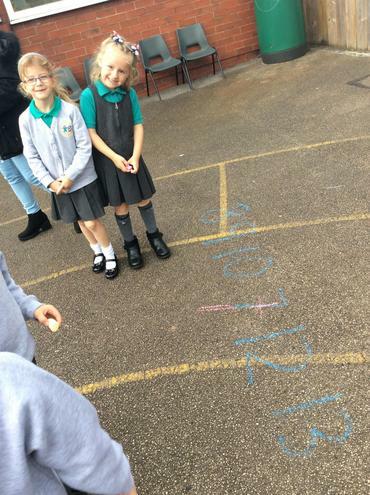 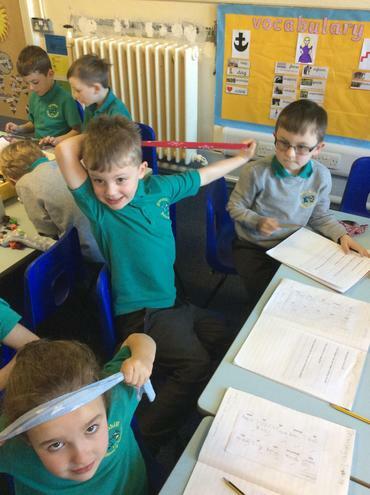 Class 4 investigated friction by testing which car went down the ramps the fastest. 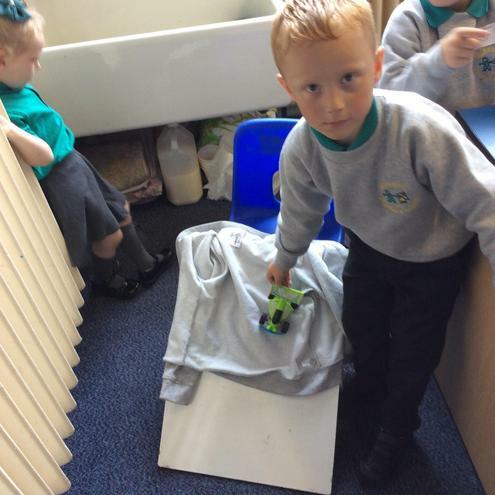 They used a different material on each ramp and observed what difference the material made to the speed of the car. 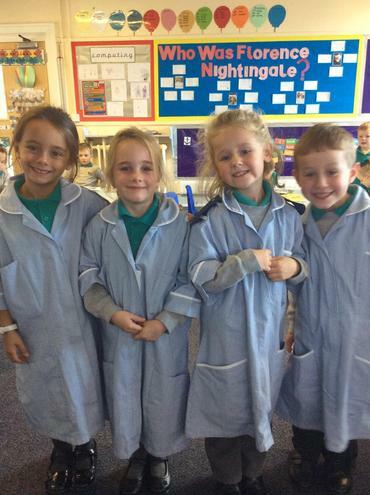 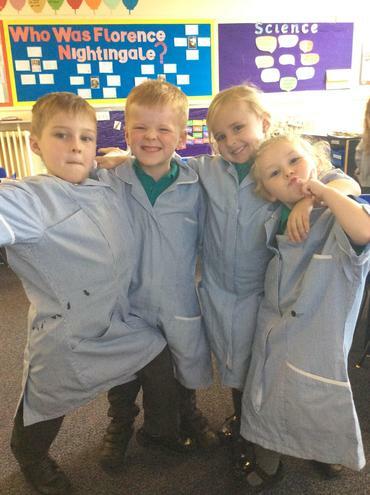 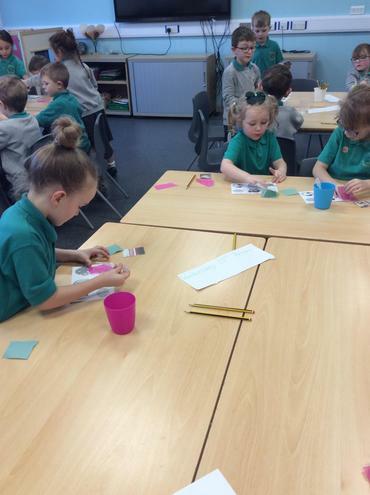 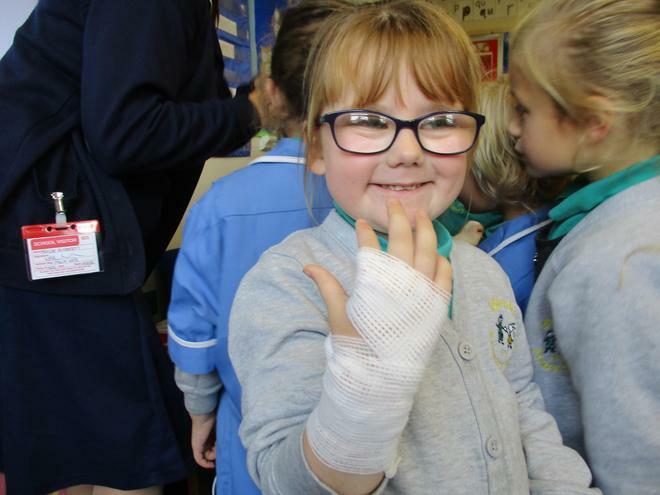 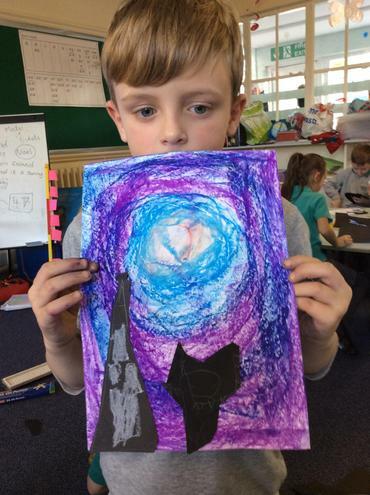 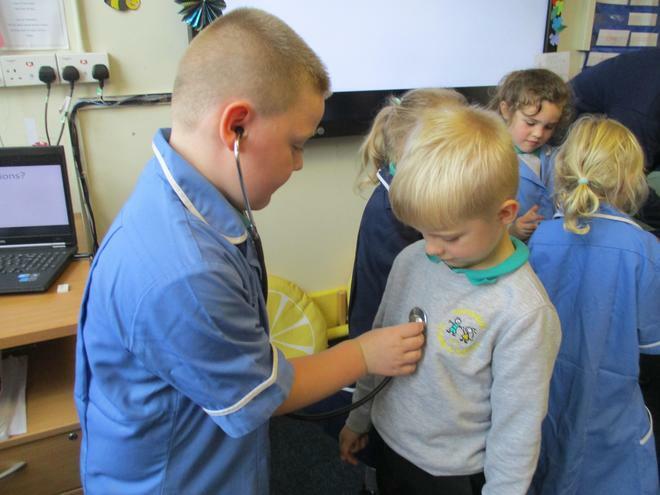 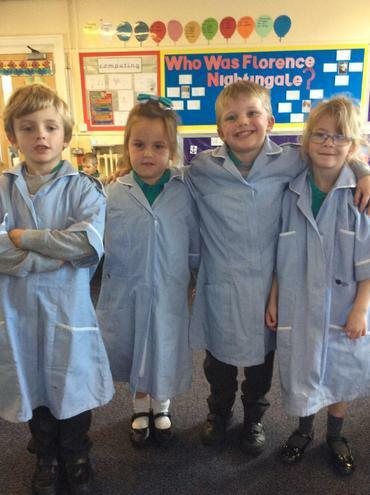 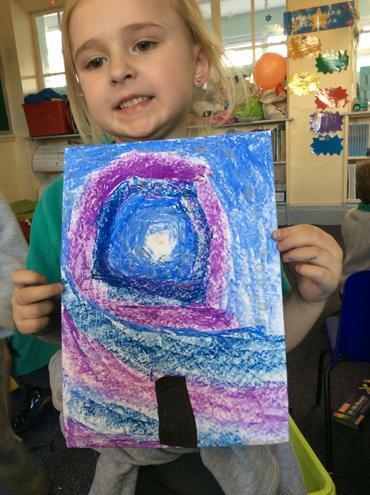 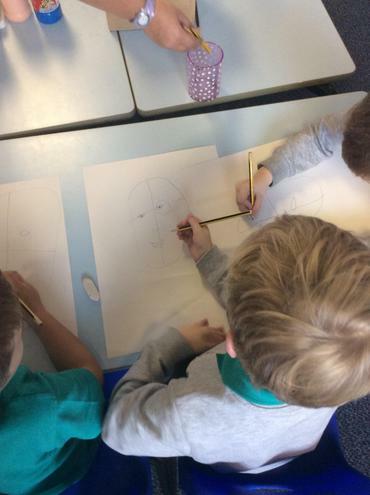 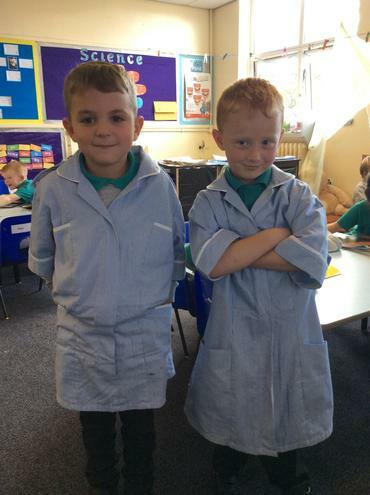 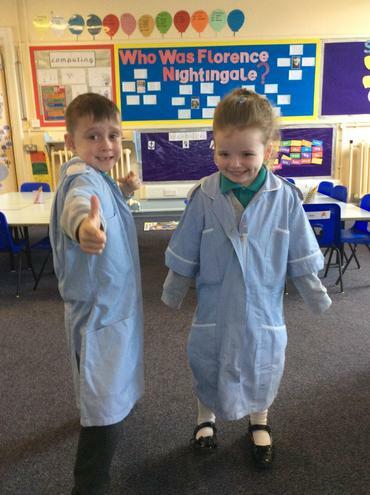 Class 4 have been learning about the internal and external qualities you need to be a nurse. 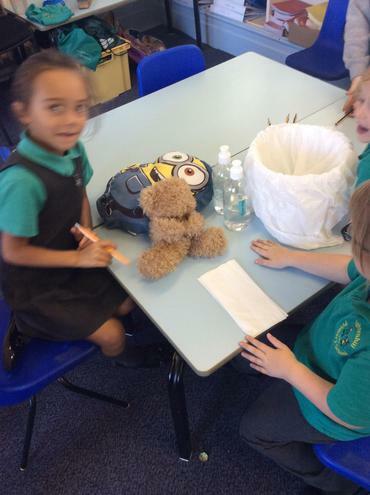 They practised these qualities today by helping their patient teddies. 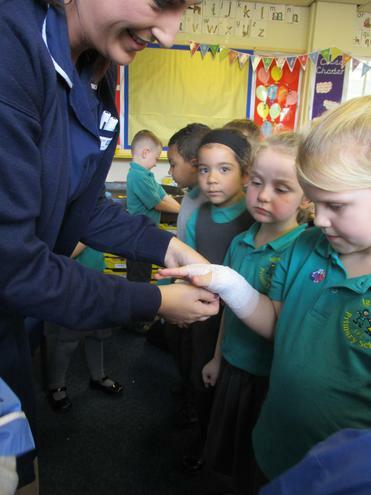 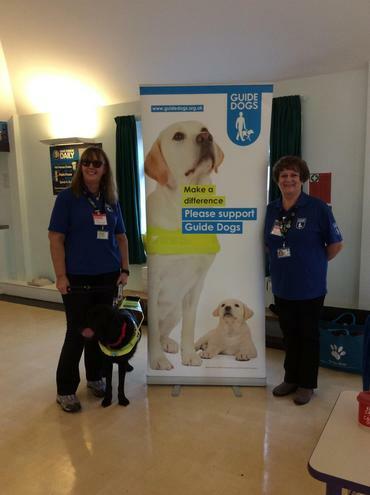 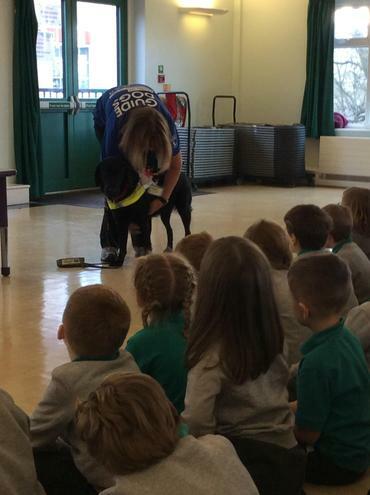 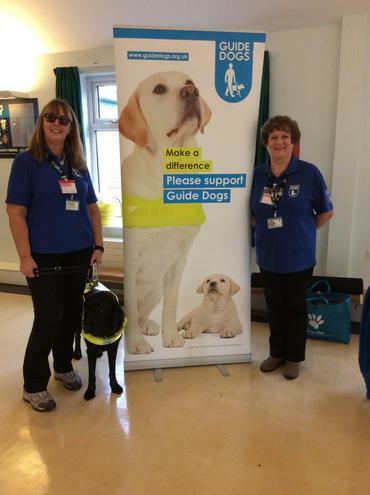 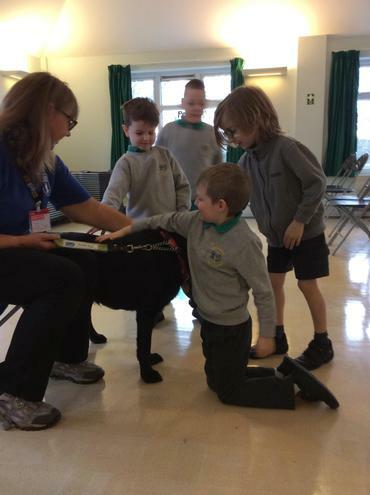 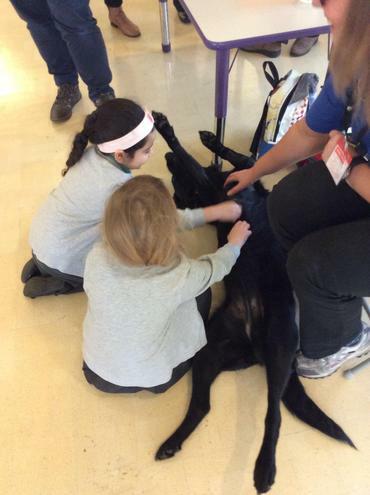 They also learned what they can do to help themselves if they are injured and when to ask for a grown up.